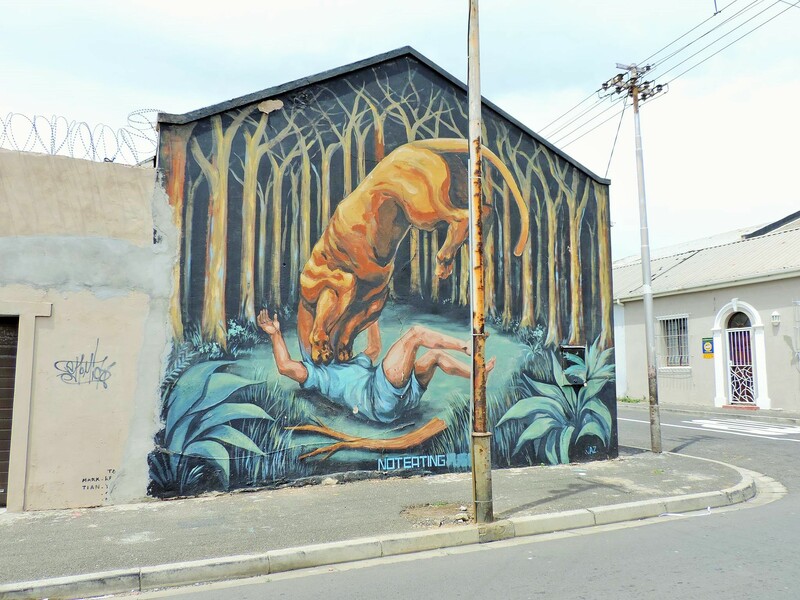 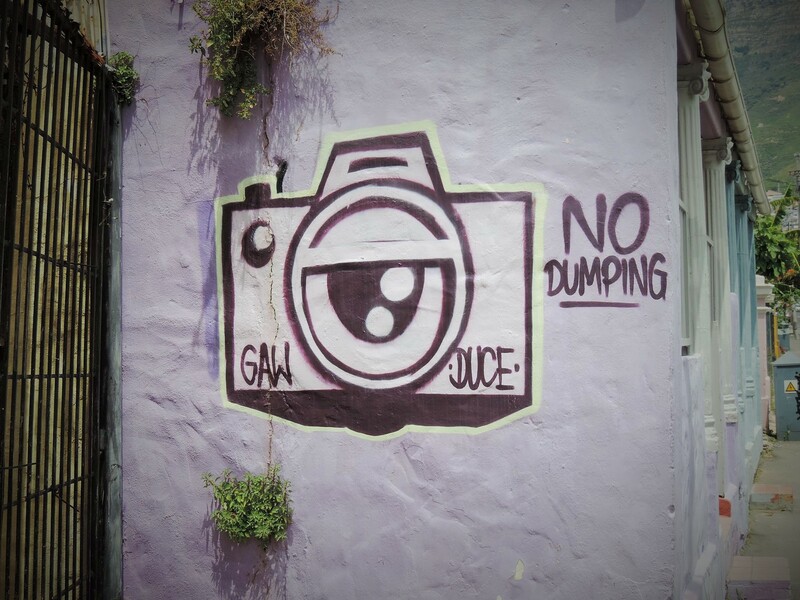 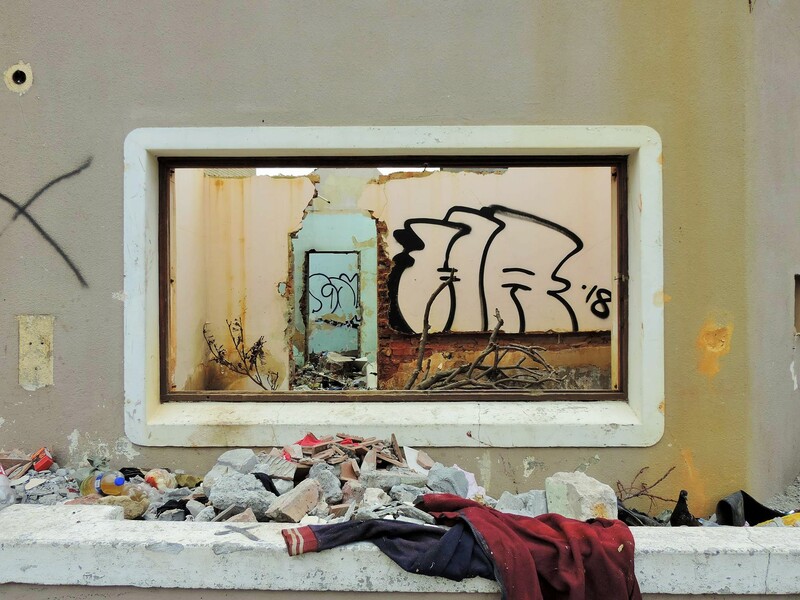 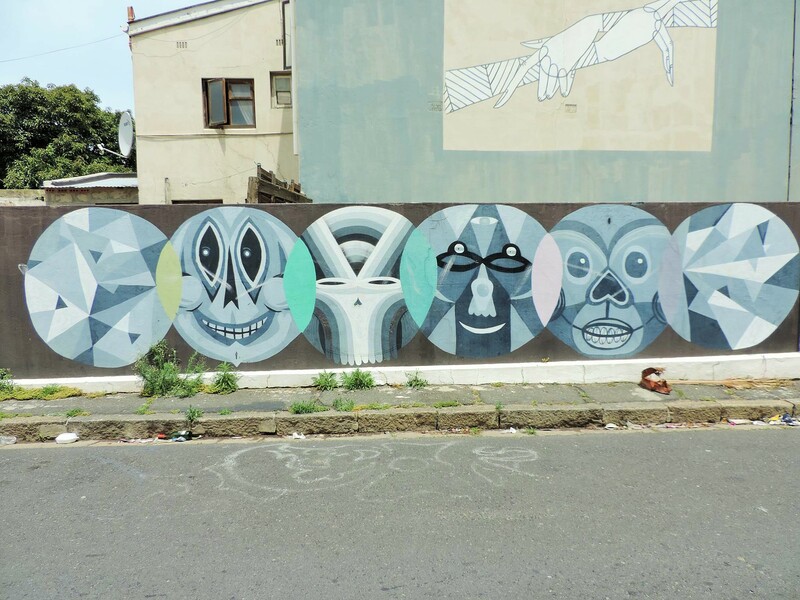 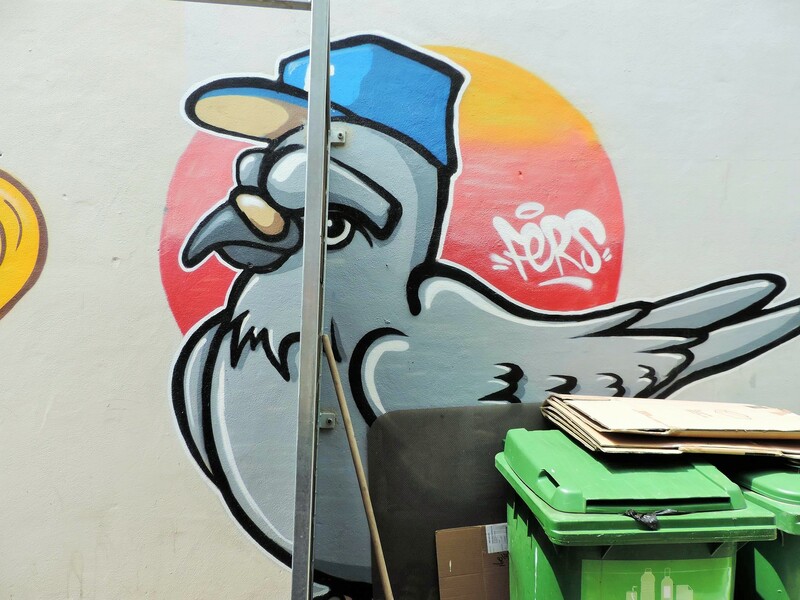 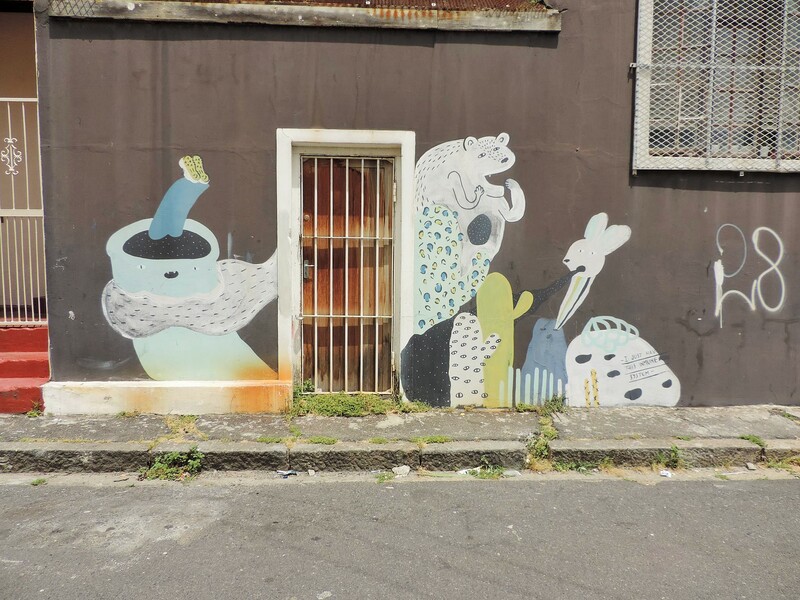 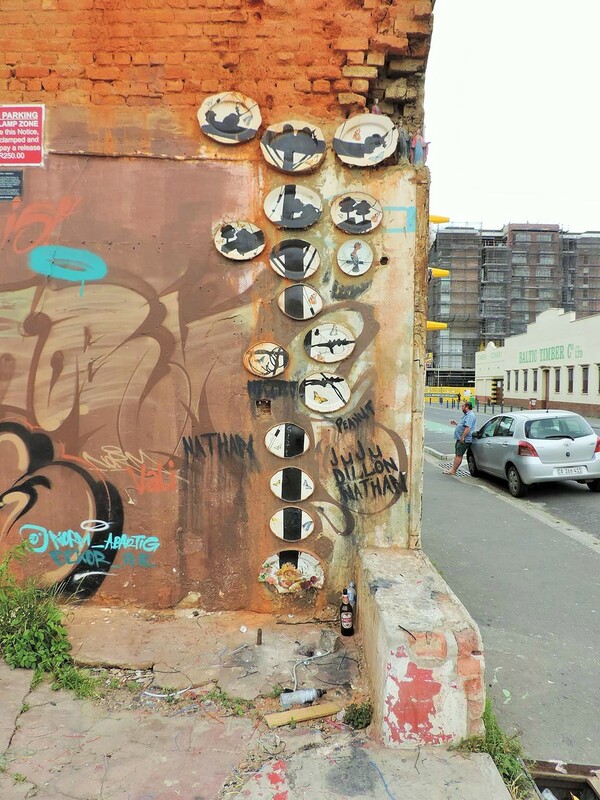 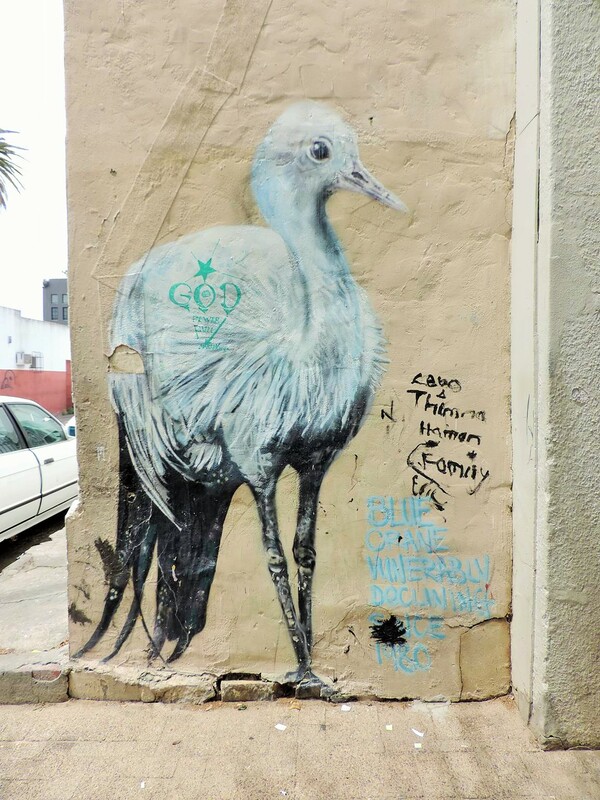 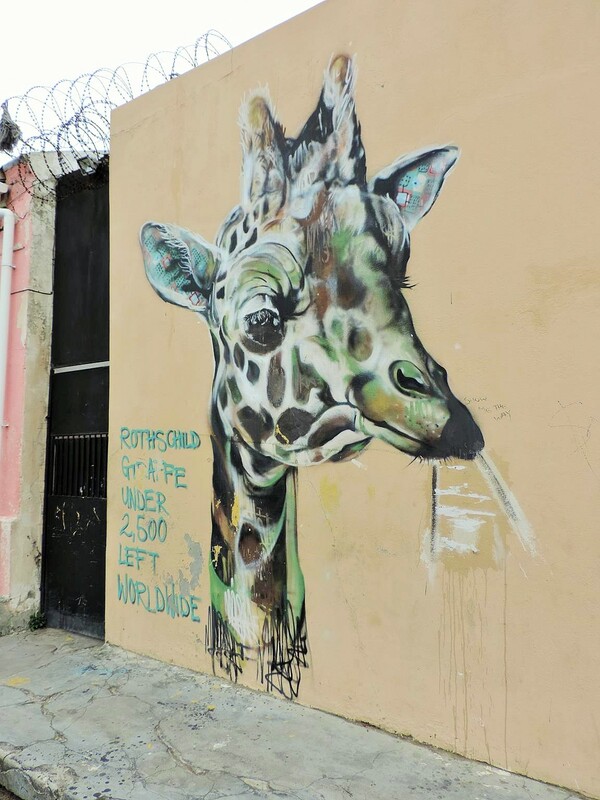 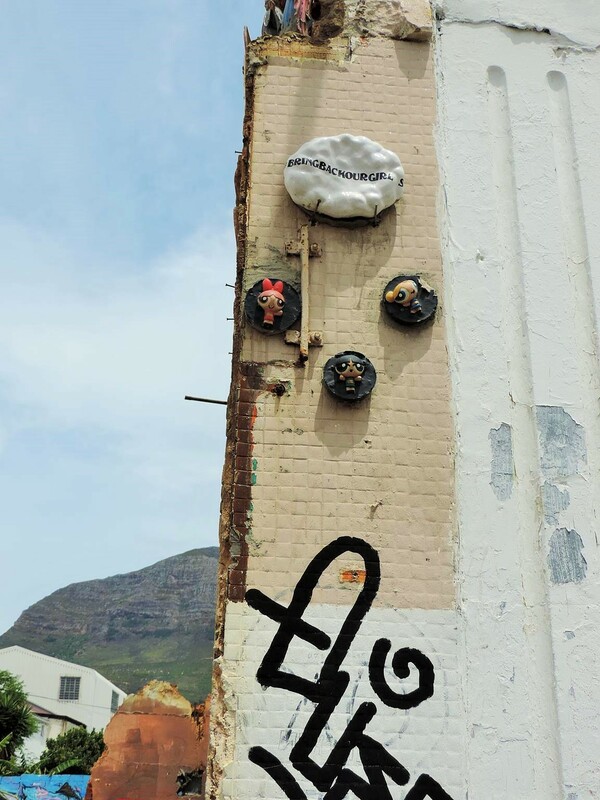 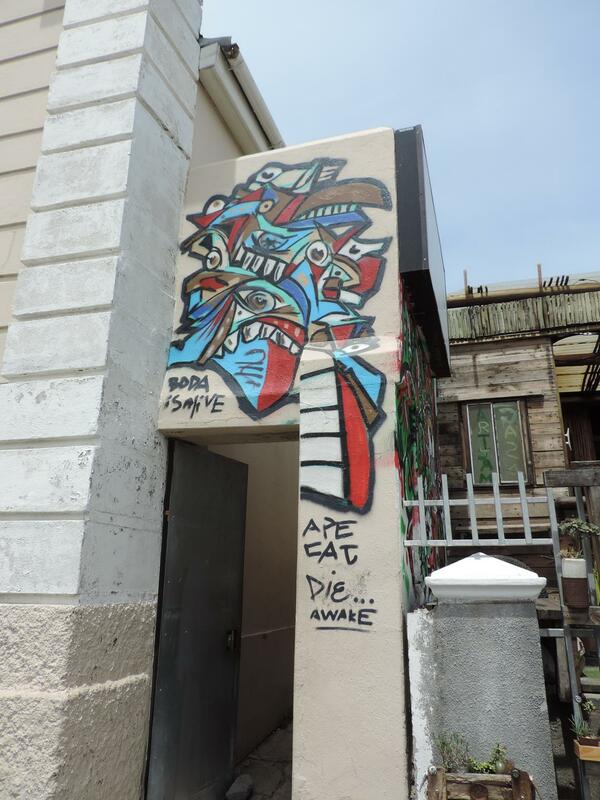 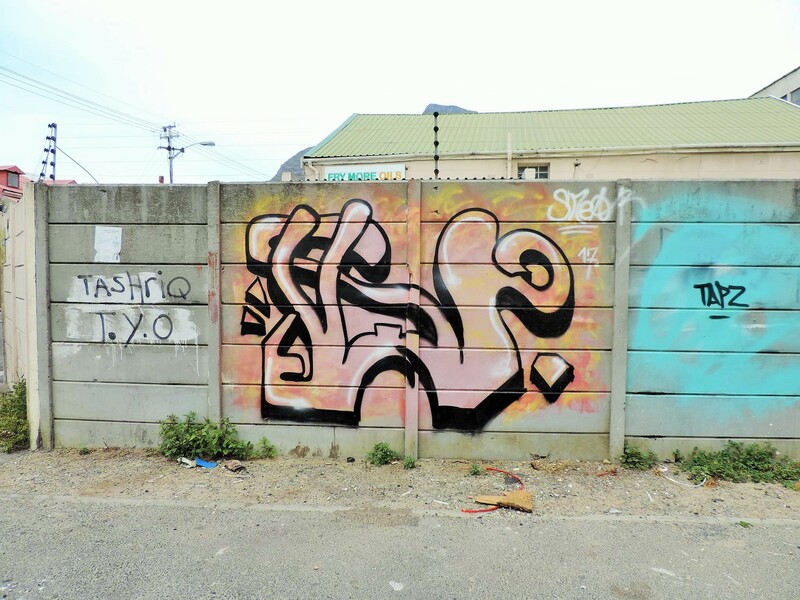 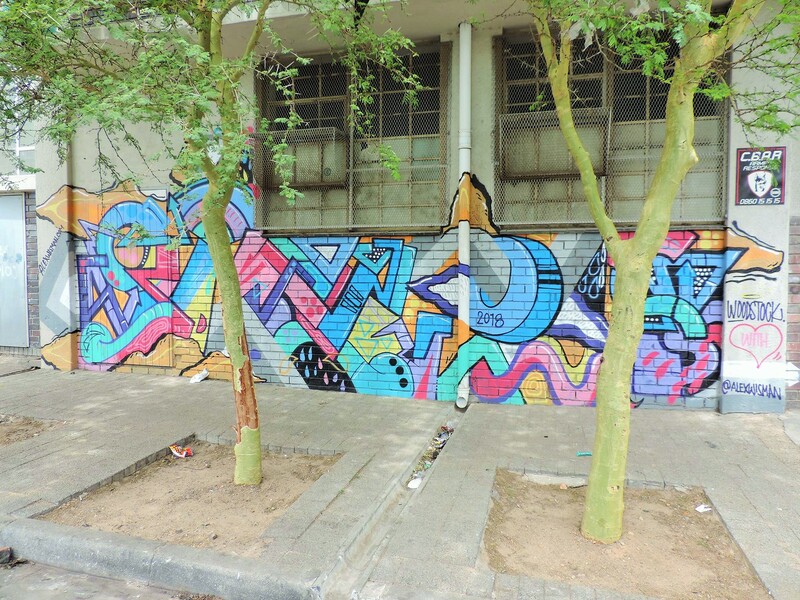 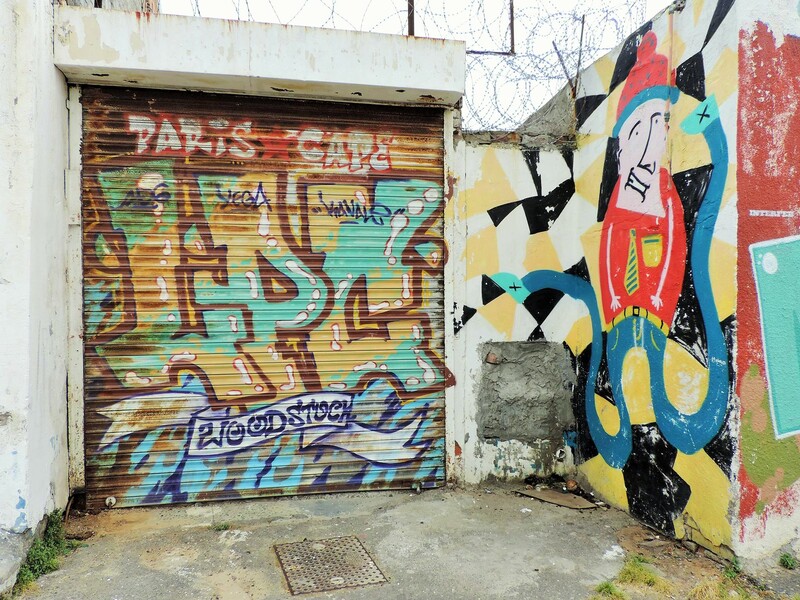 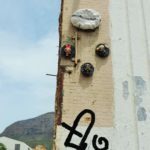 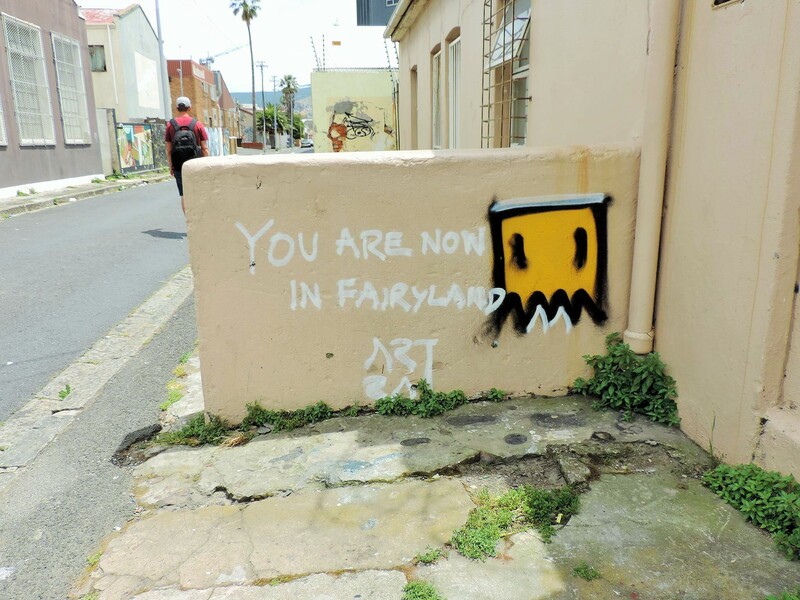 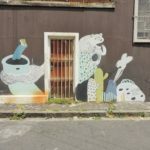 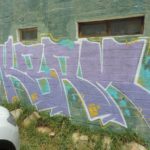 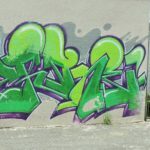 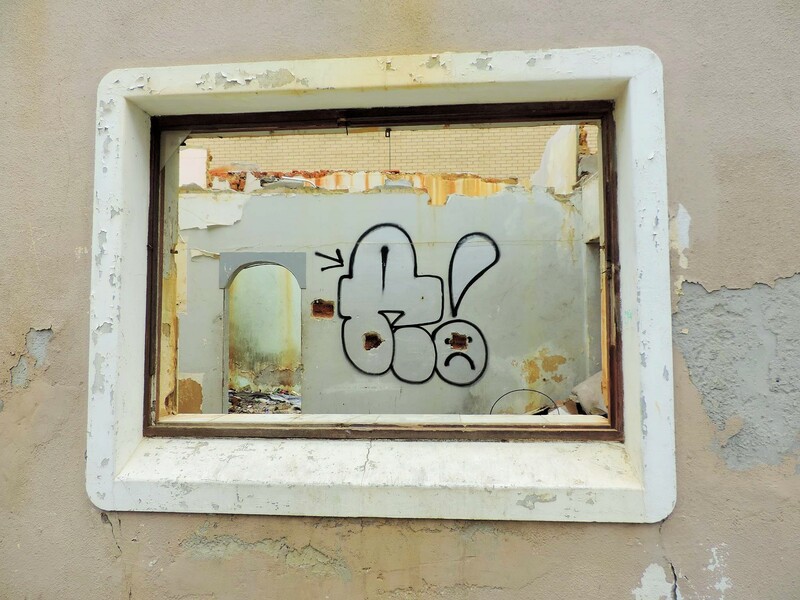 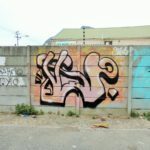 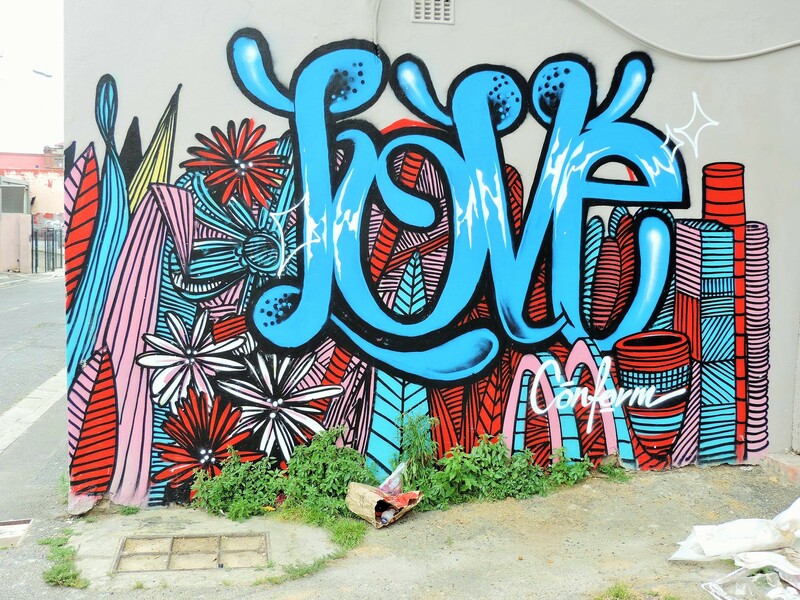 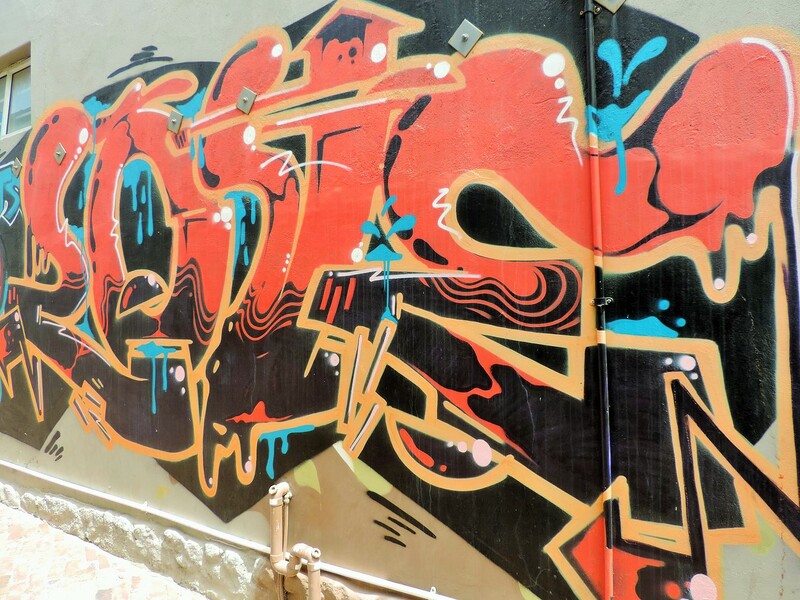 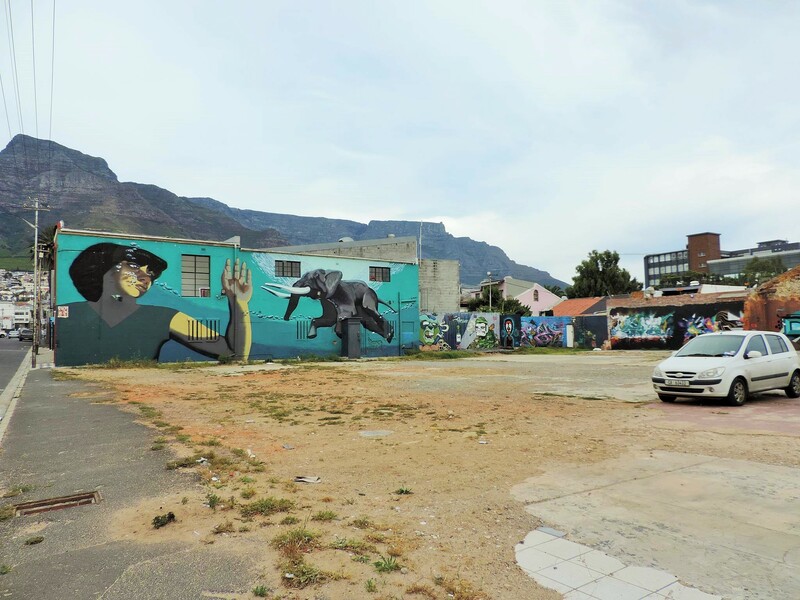 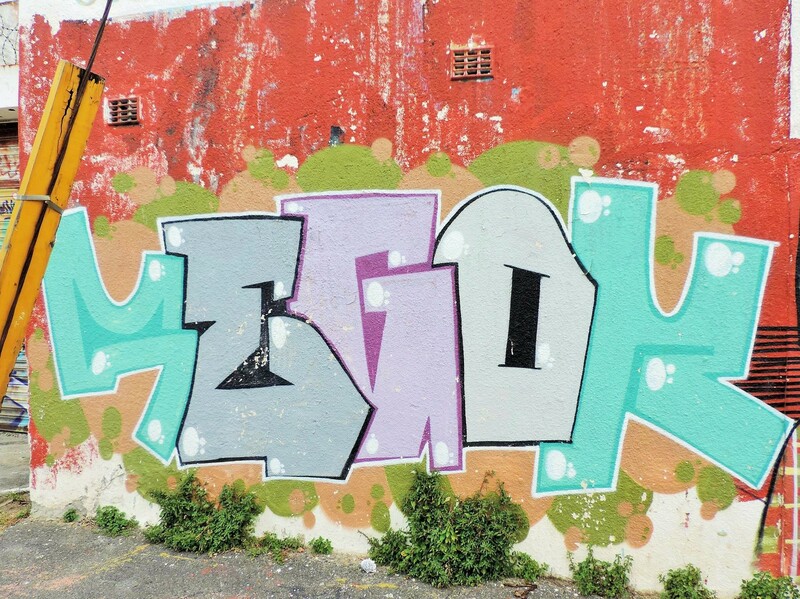 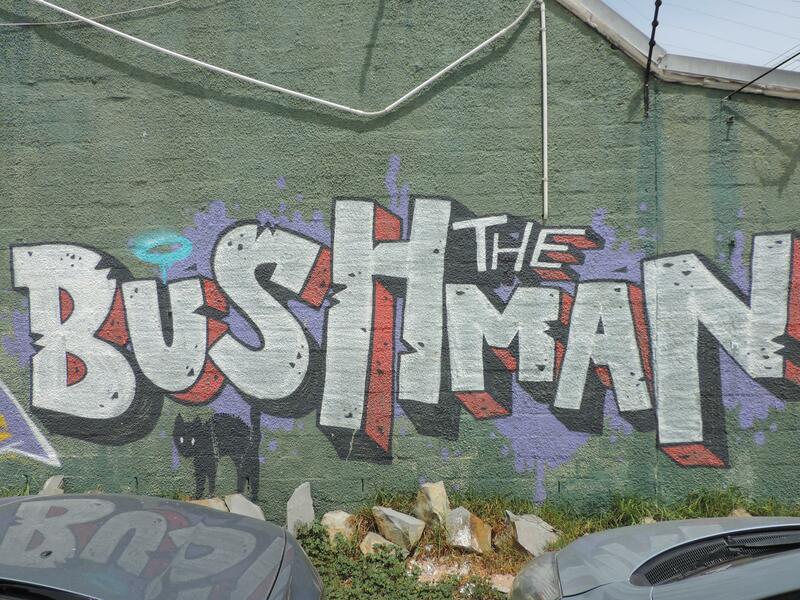 In the last few weeks, we’ve been hanging around in the southern hemisphere, exploring the South African savannah and searching for graffiti in Cape Town. 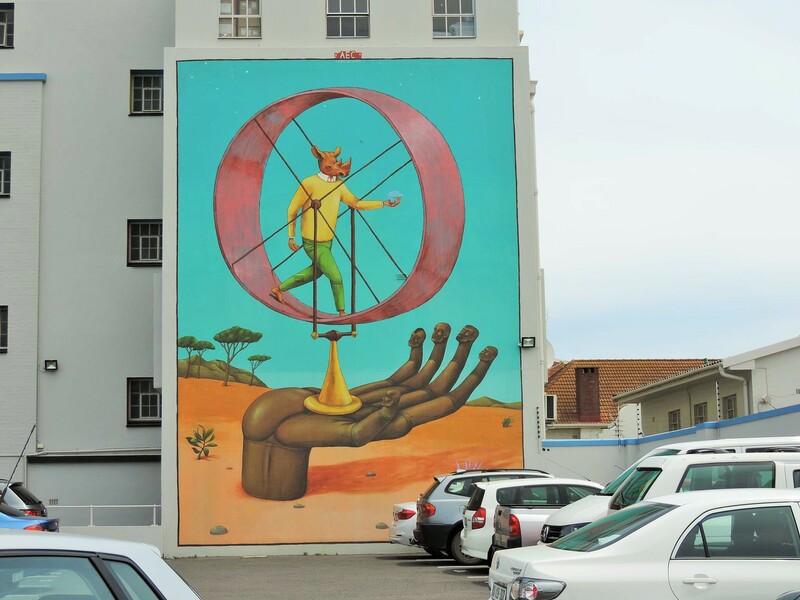 Yes, there is a quarter in Capetown called Woodstock. 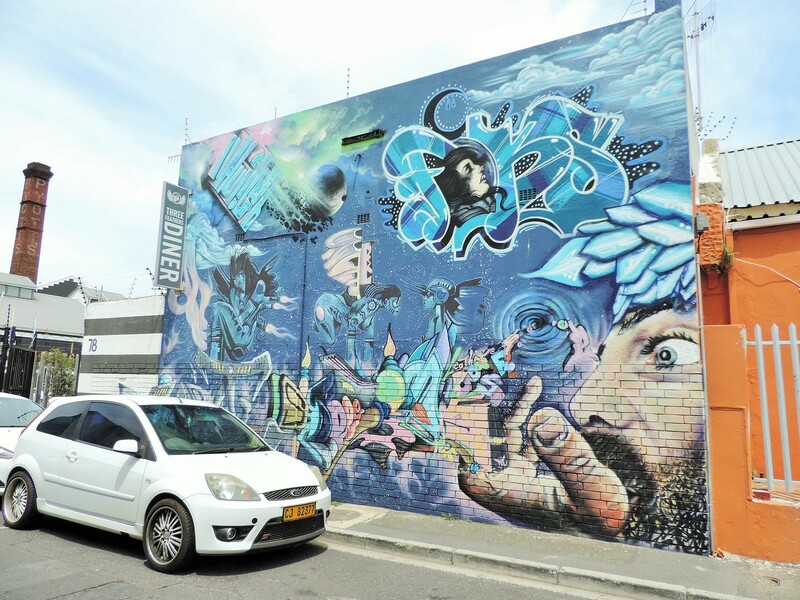 There is not a big music festival there, but it is definitely one of the artistic-alternative trend districts. 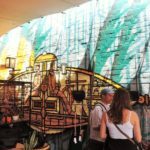 Between the many run-down or redesigned warehouses and factory buildings, the streets are peppered with art galleries and cool cafés. 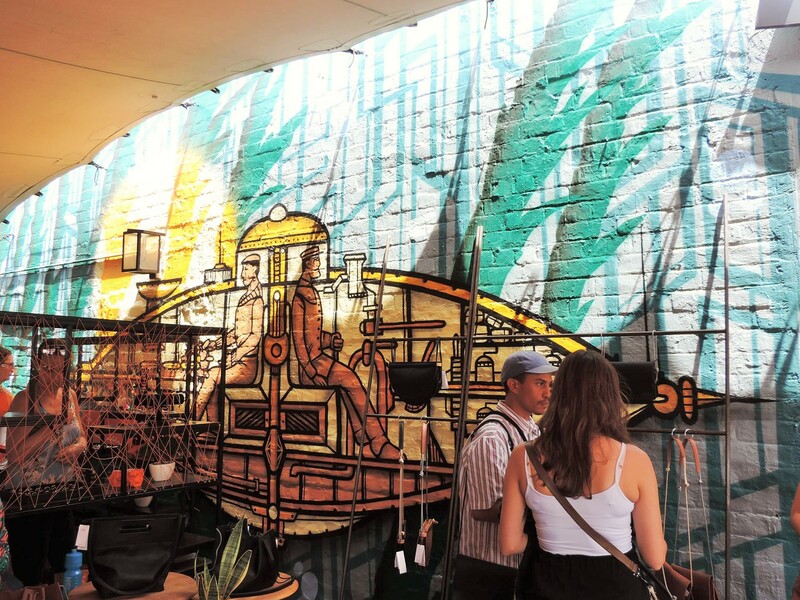 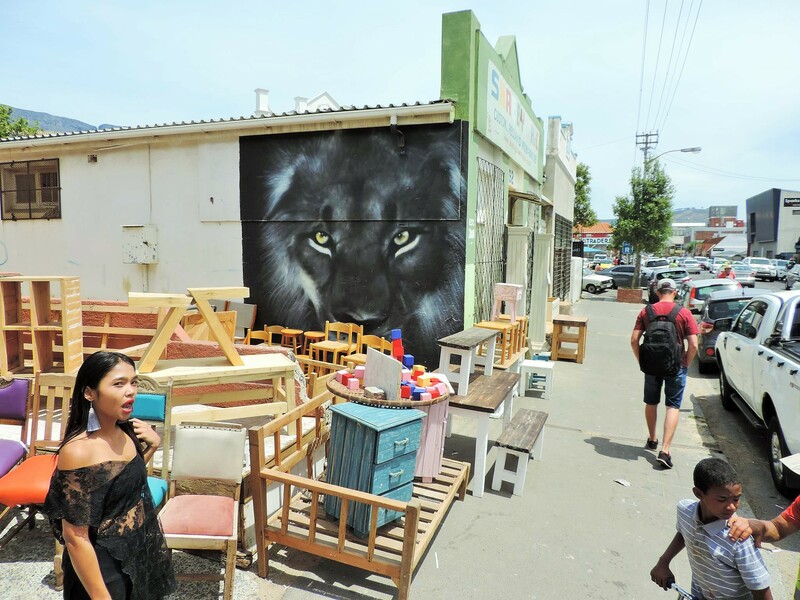 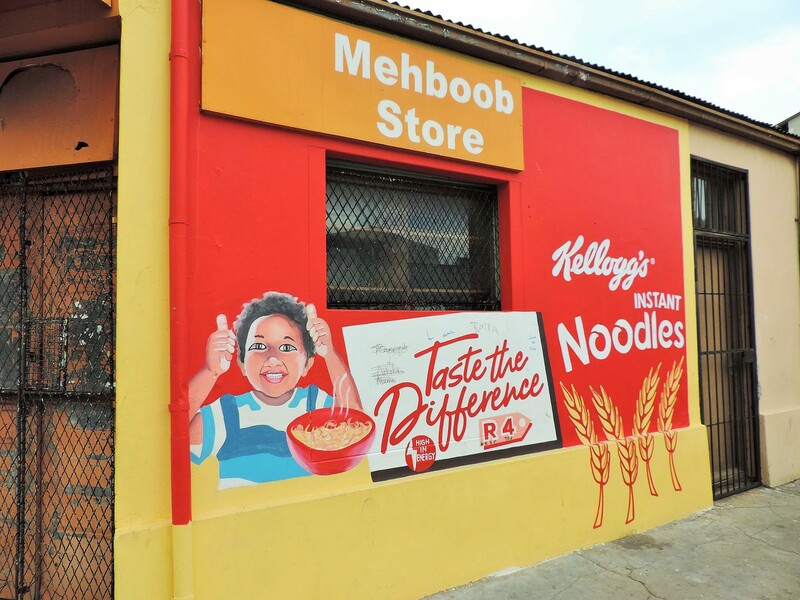 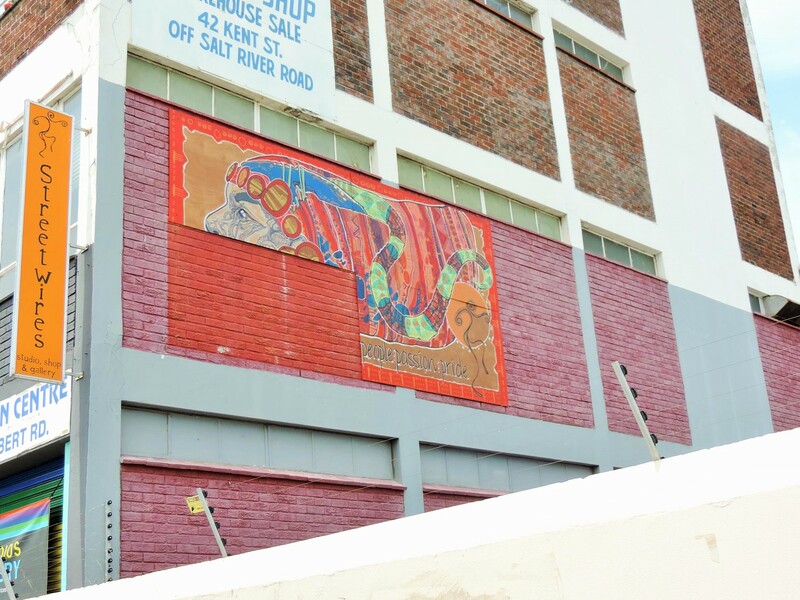 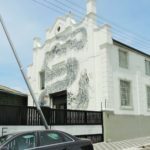 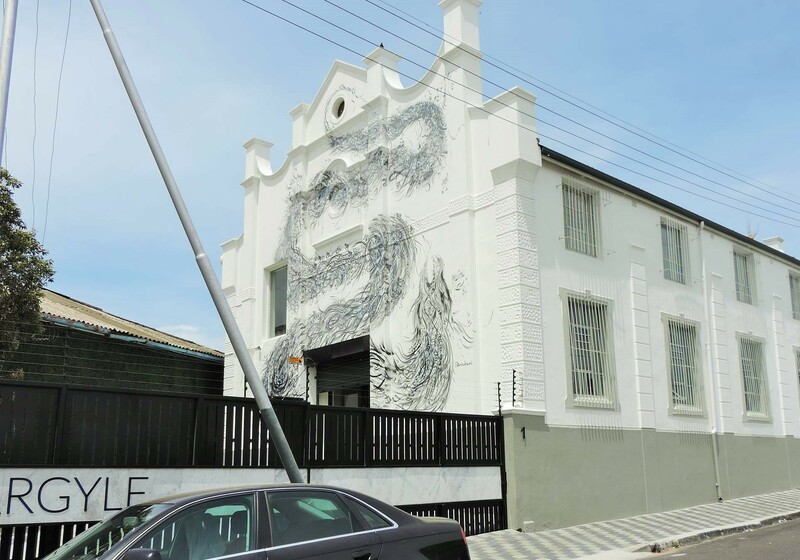 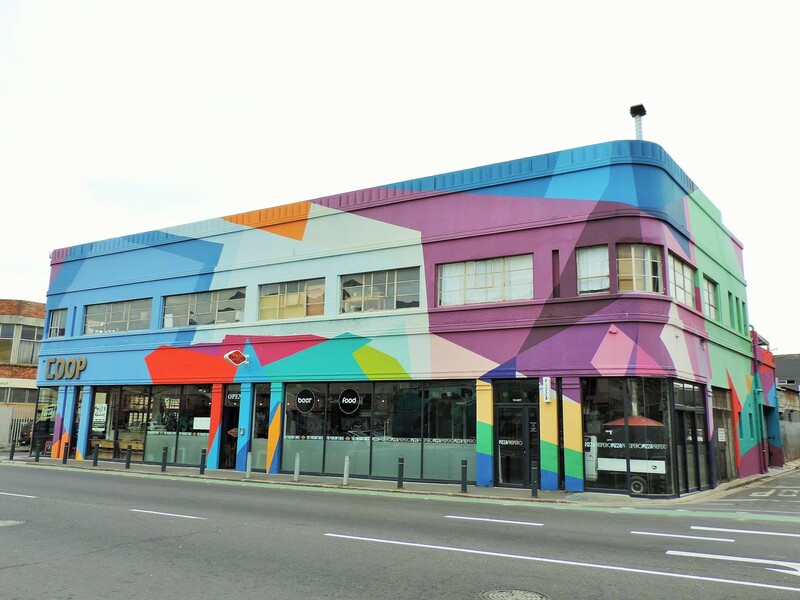 Events such as the Neighbour Goods Market at the Old Biscuit Mill or the Cape Town Street Food Festival are held regularly in the area around Albert Road. 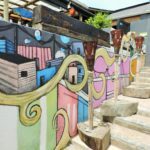 The city was named World Design Capital in 2014, and 433,000 residents from 11 cultures make sure it stays colorful in the Rainbow Nation. 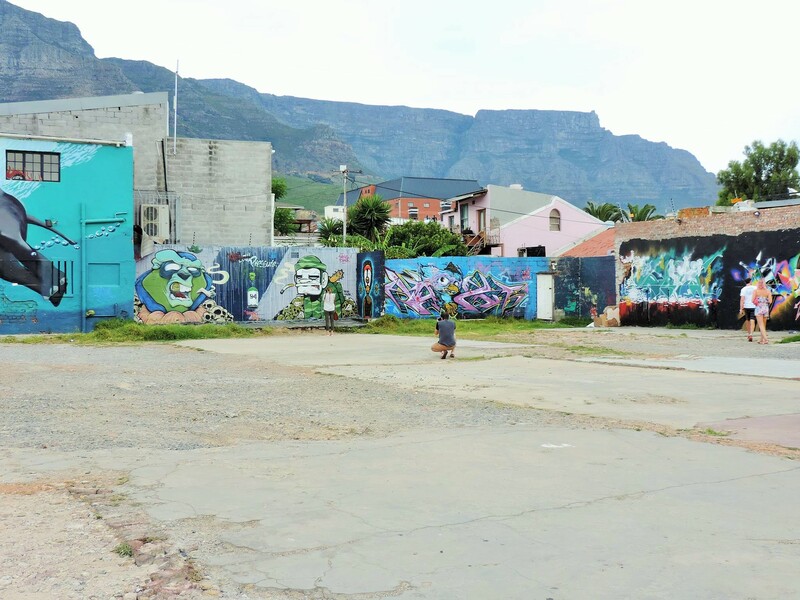 The “Mothercity”, as the locals call it affectionately, is the only metropolis in the middle of a national park and is considered to be one of the most beautiful cities in the world with its panorama of the city, the sea and the Table Mountain massif. 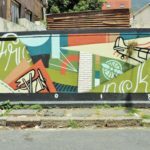 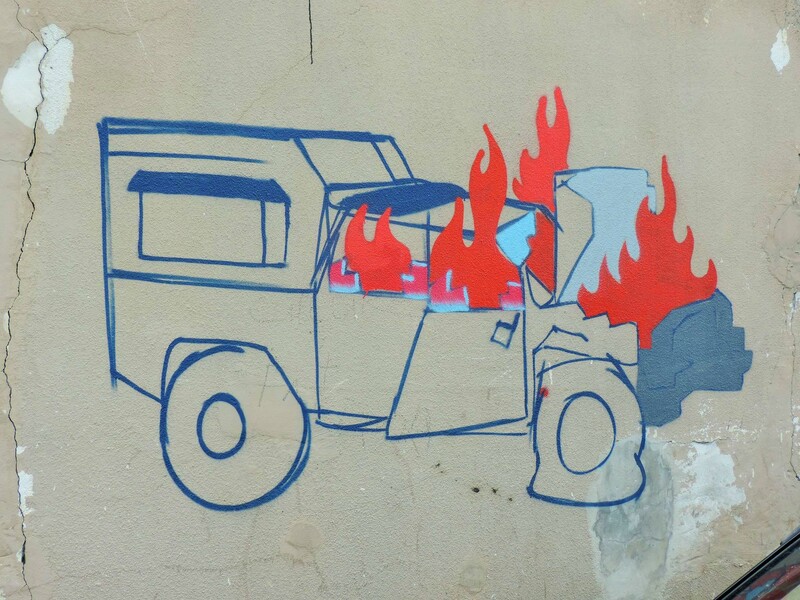 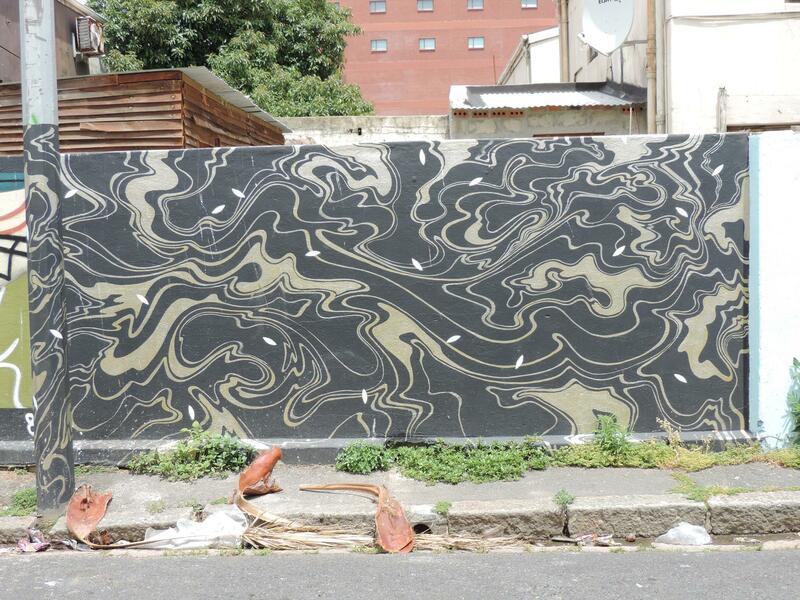 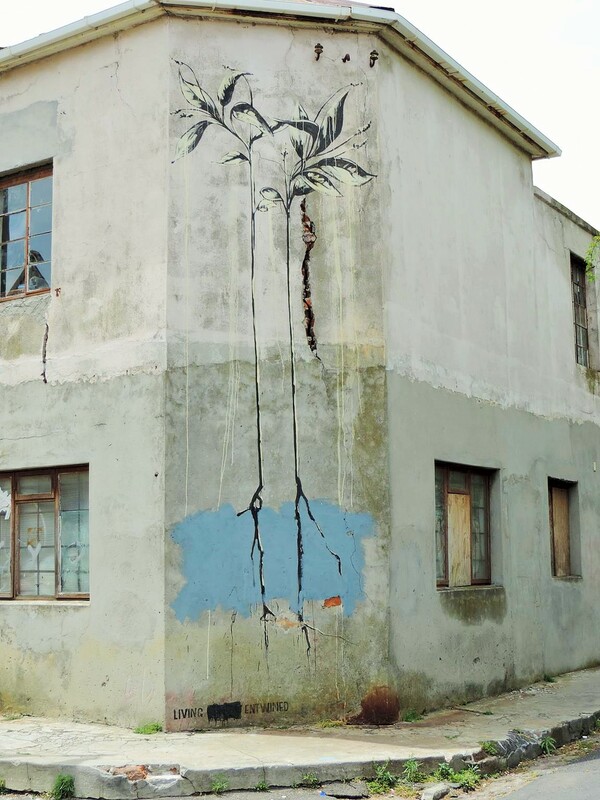 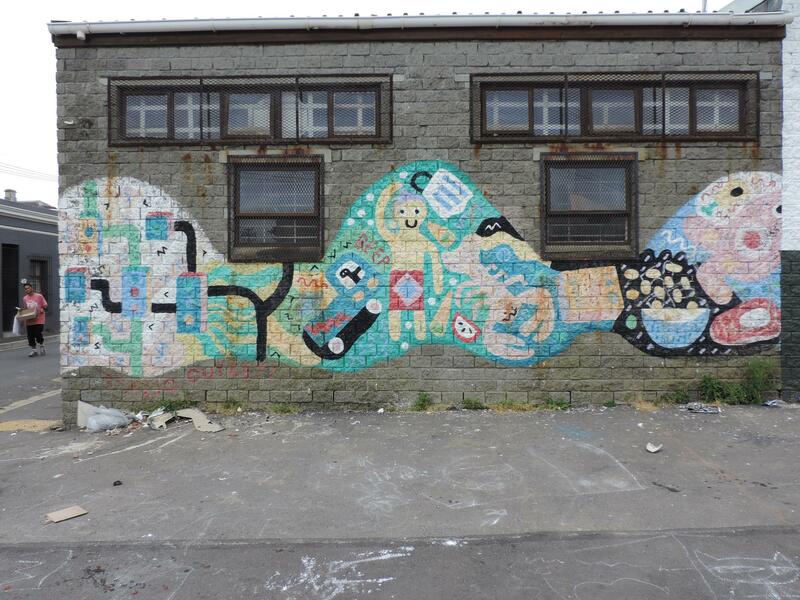 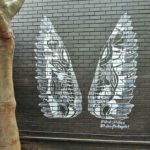 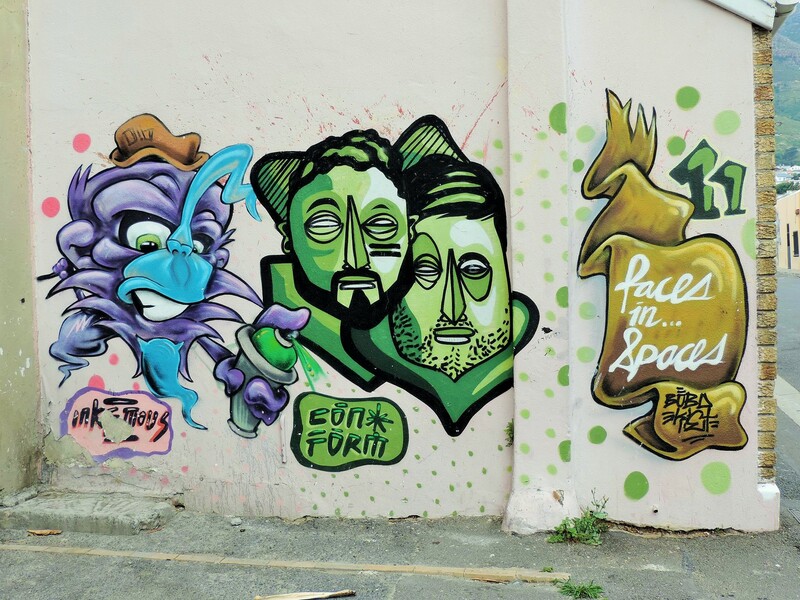 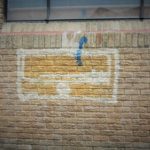 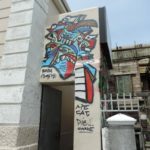 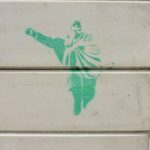 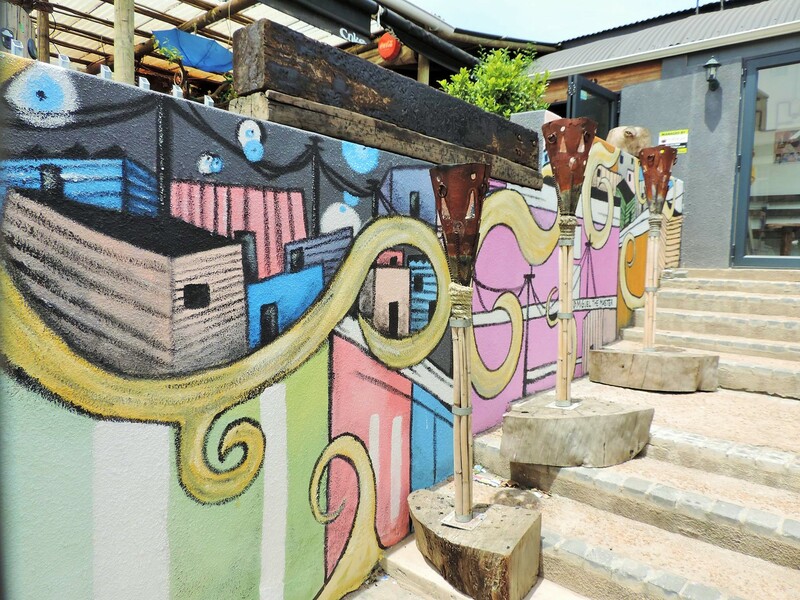 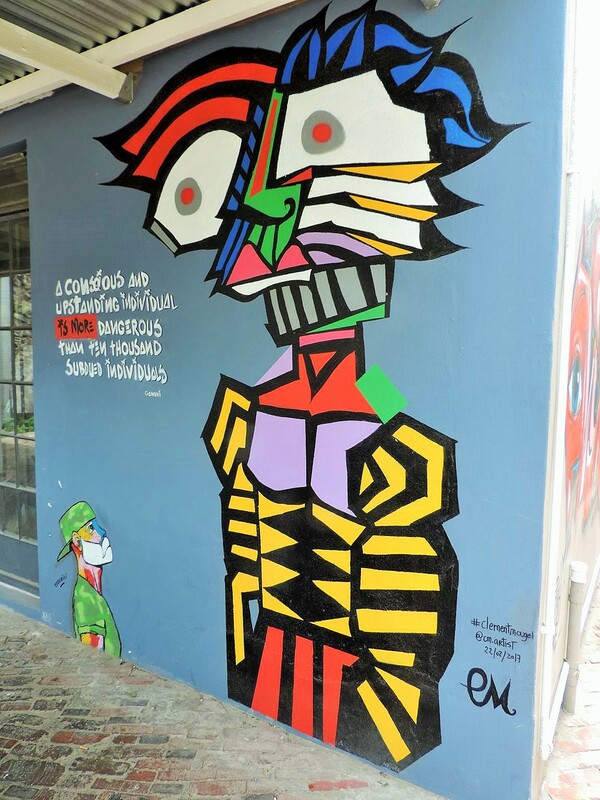 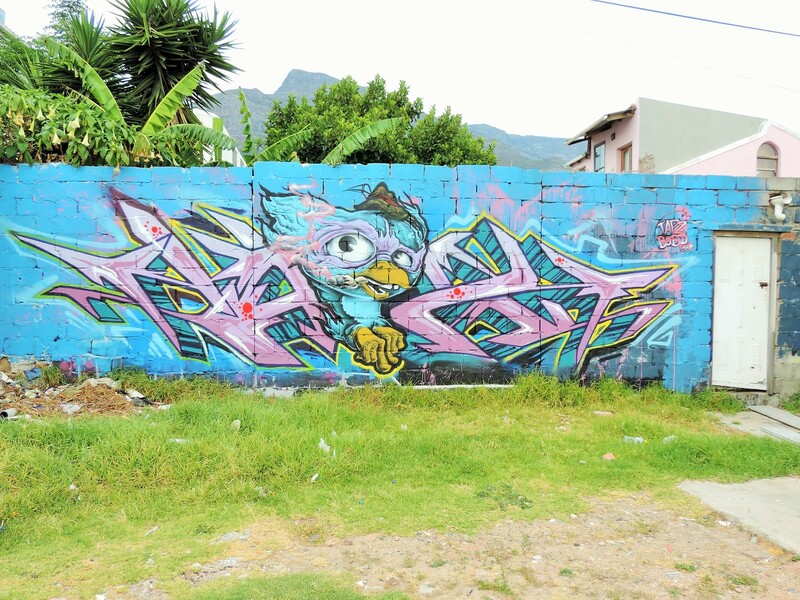 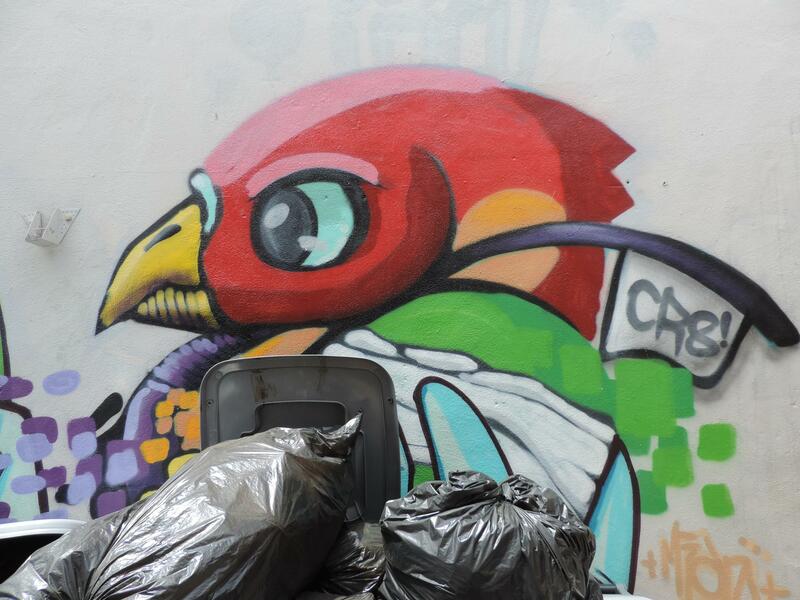 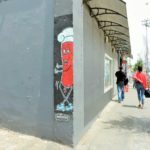 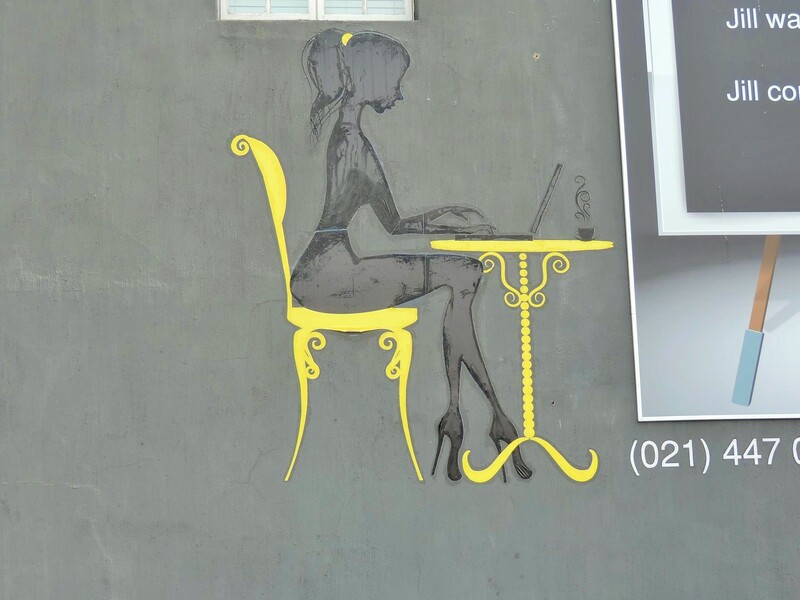 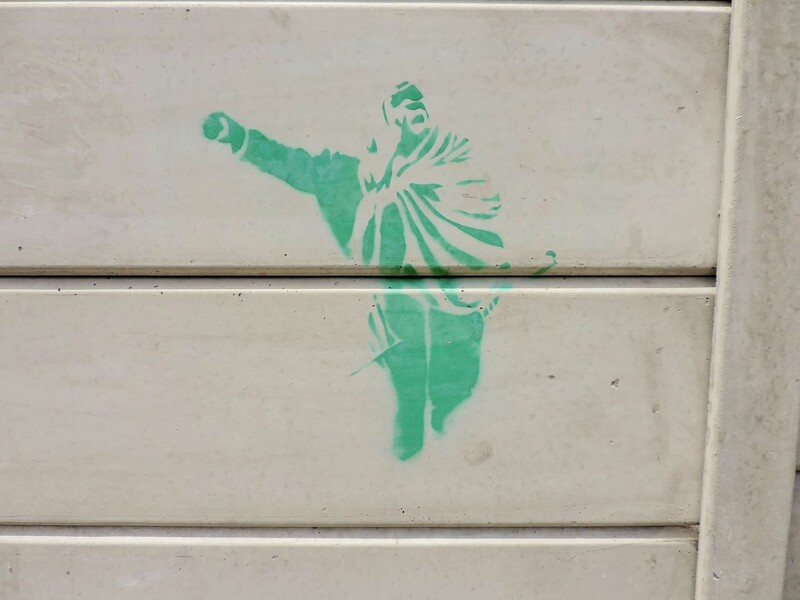 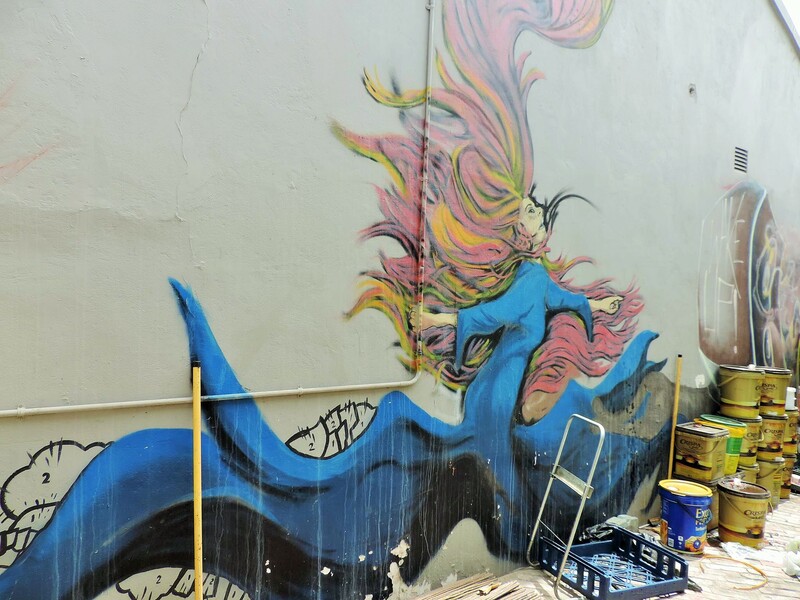 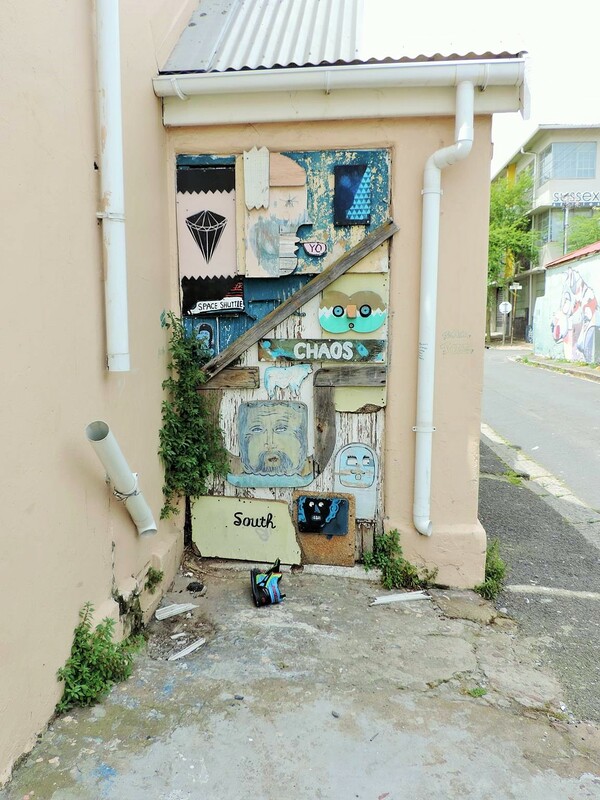 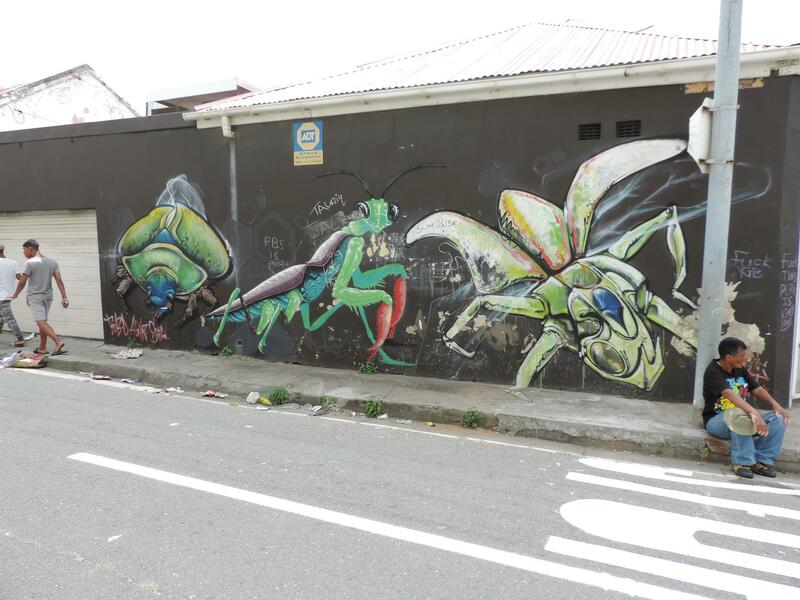 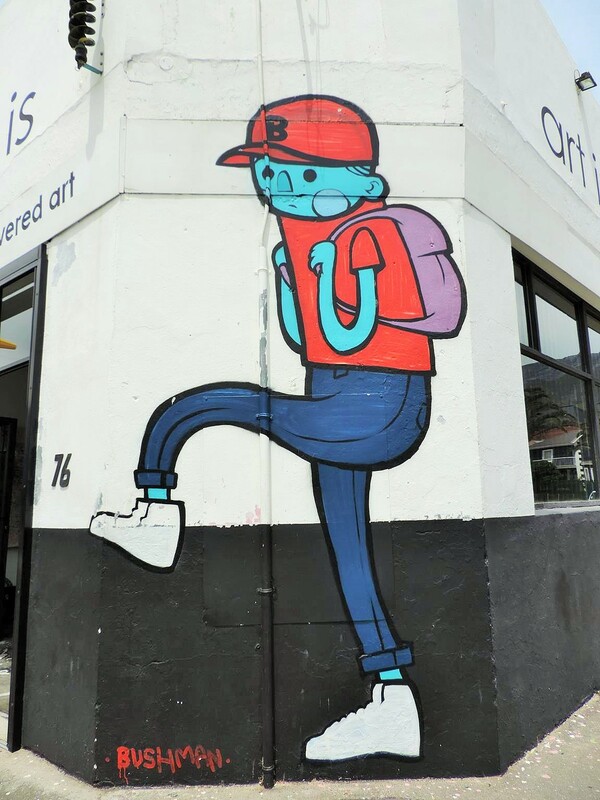 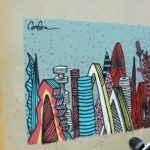 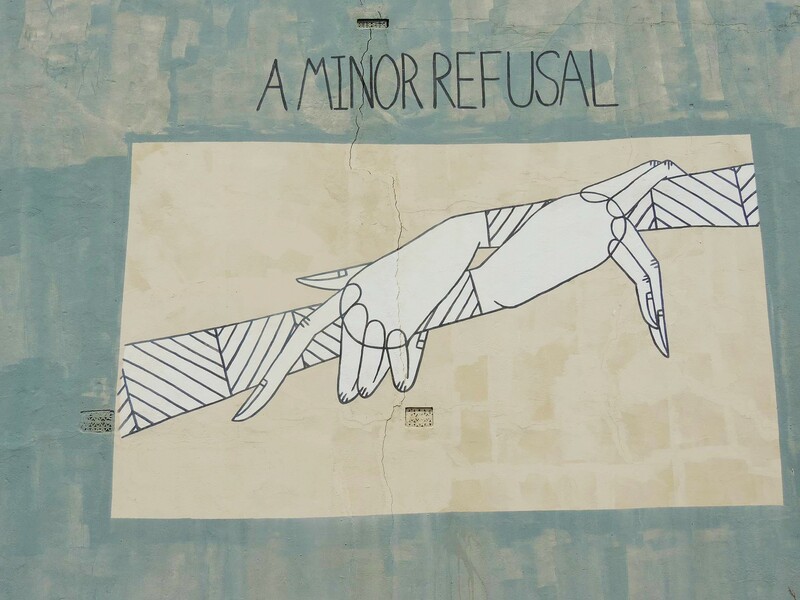 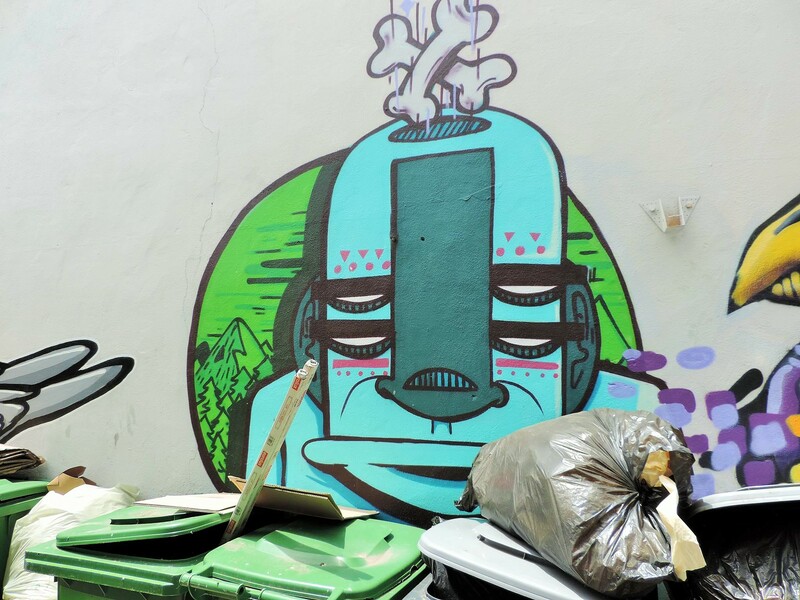 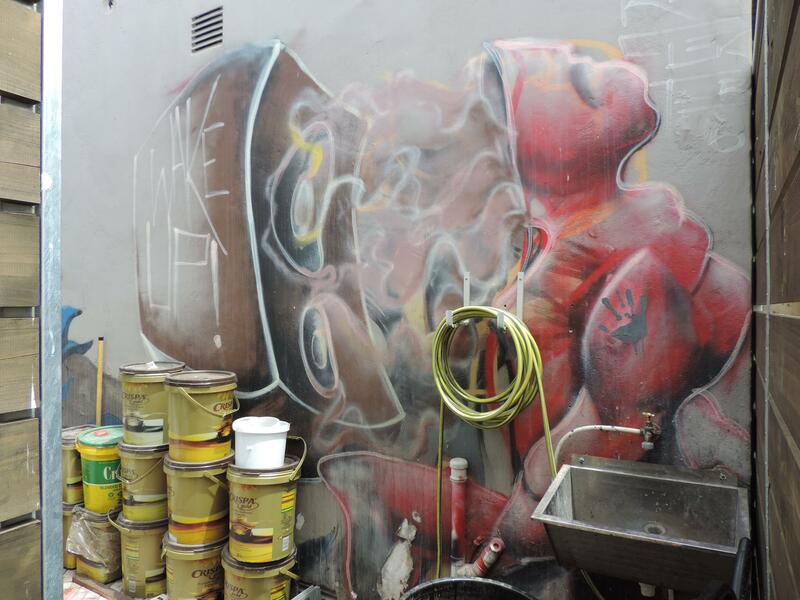 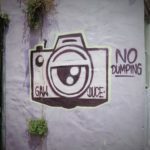 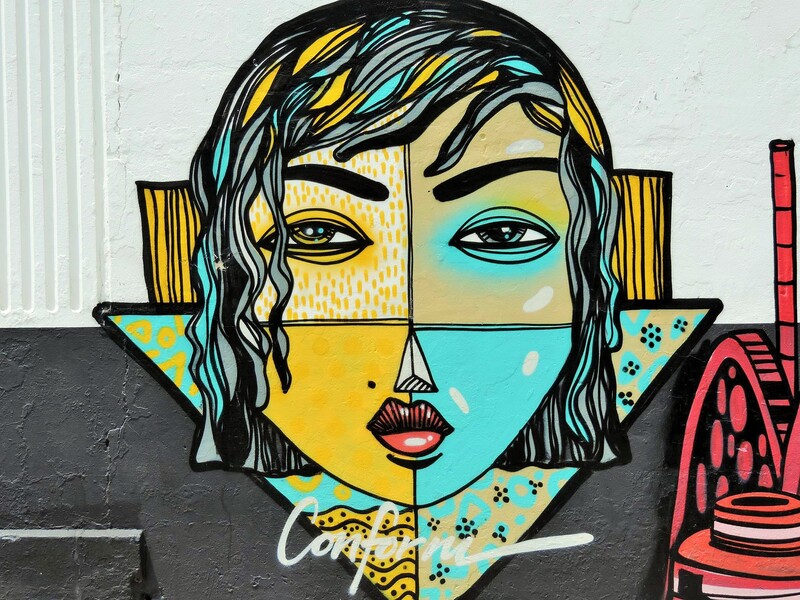 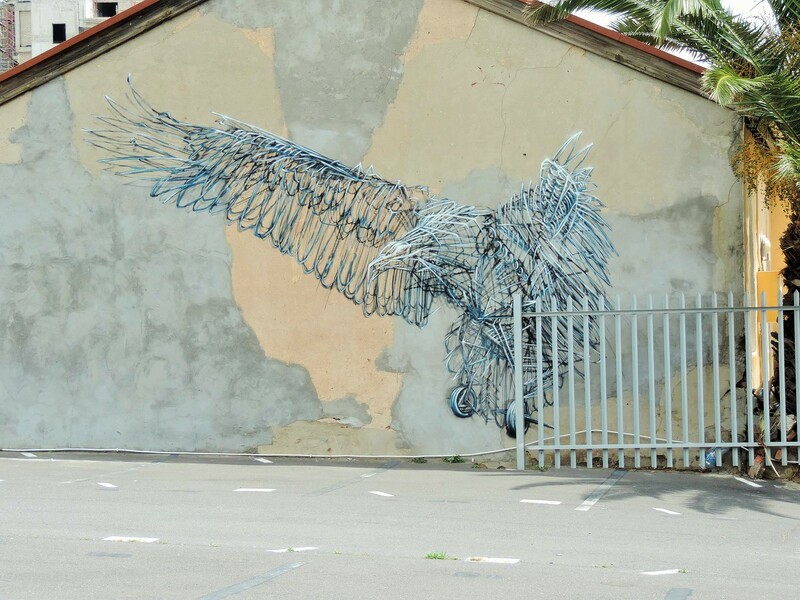 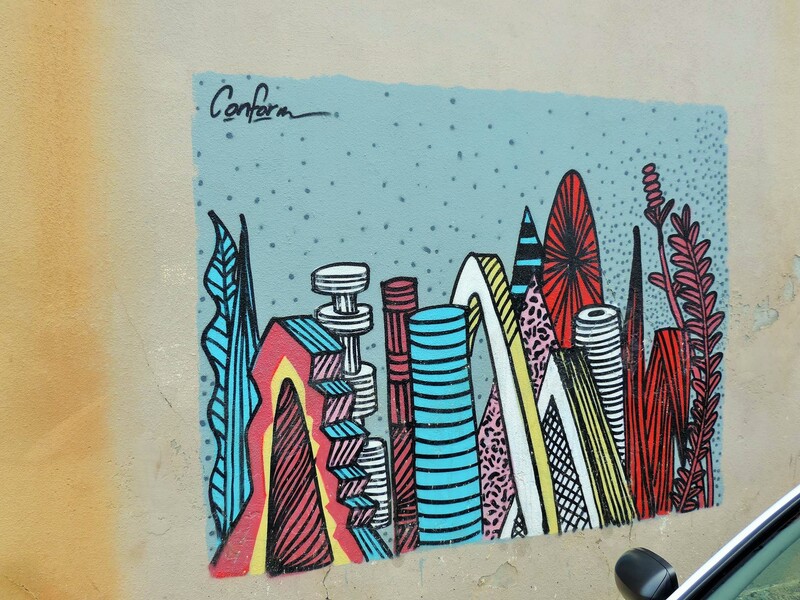 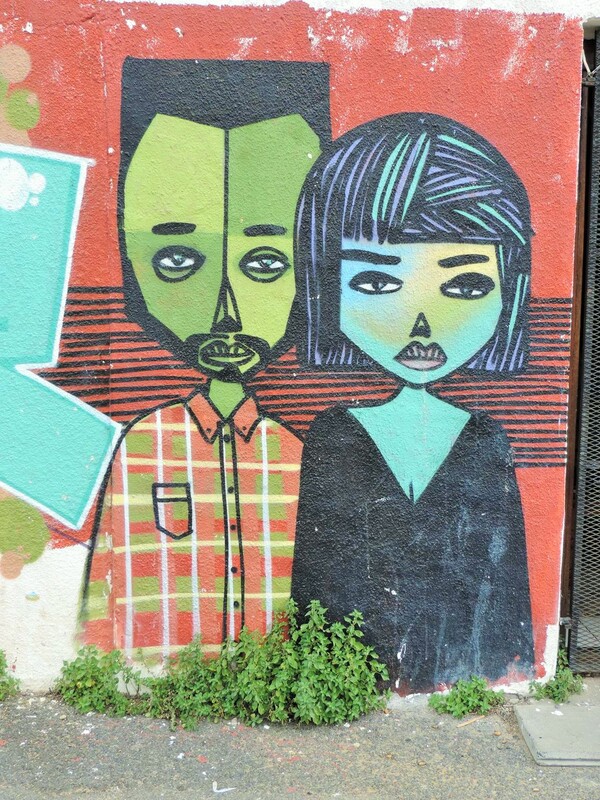 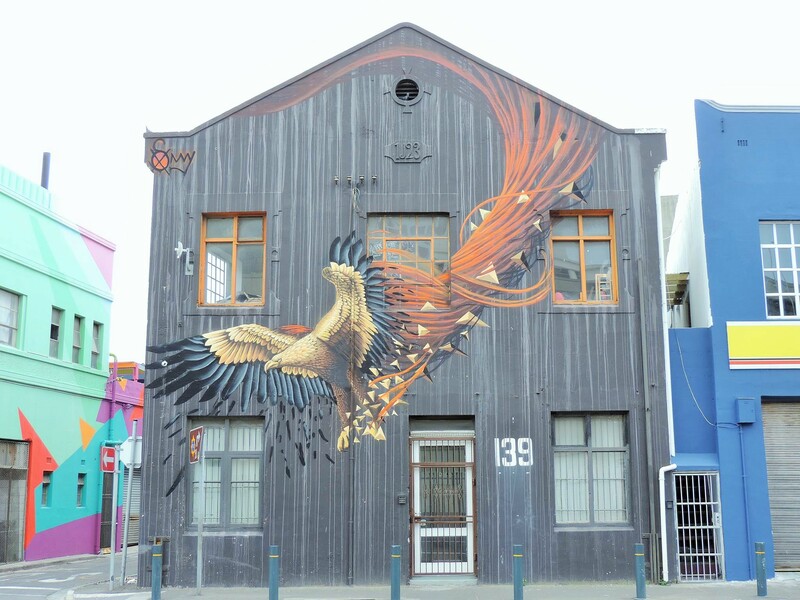 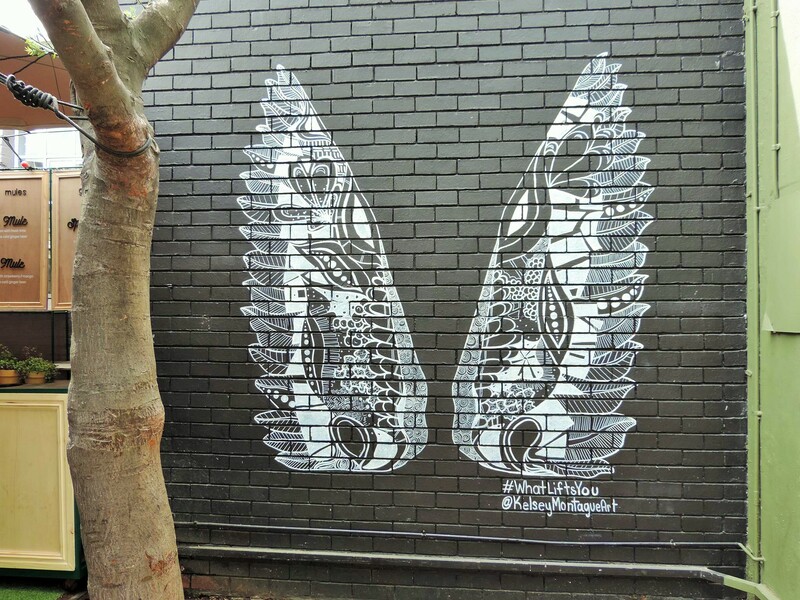 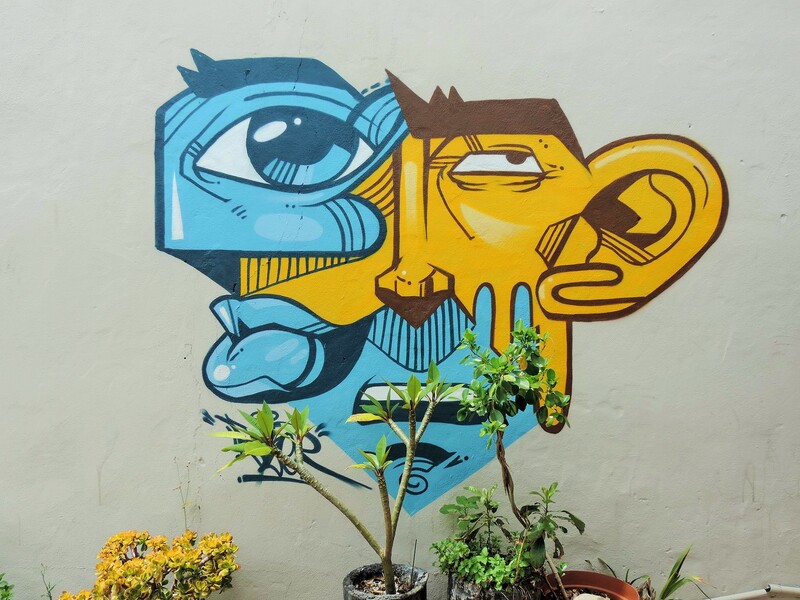 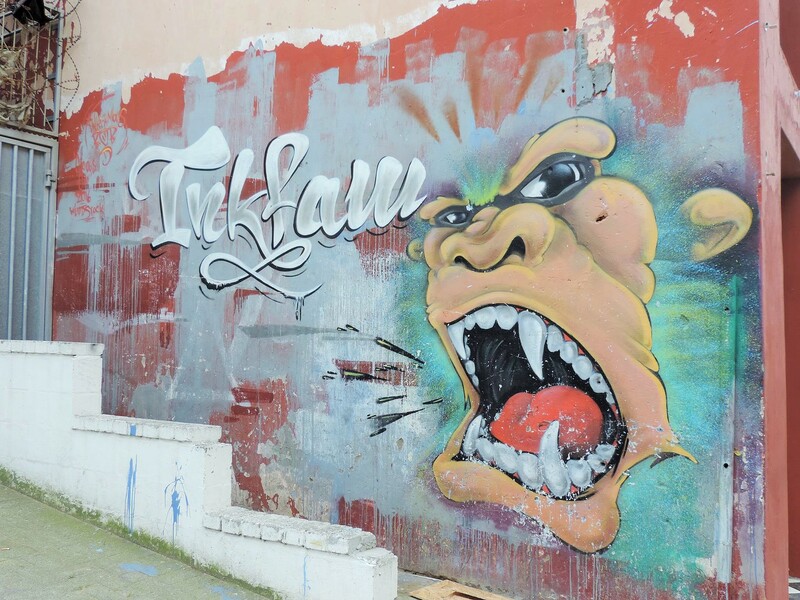 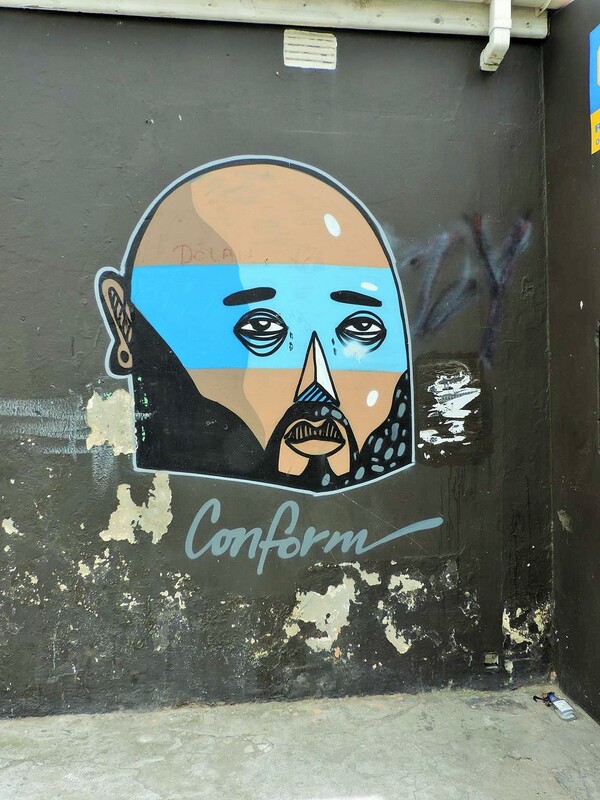 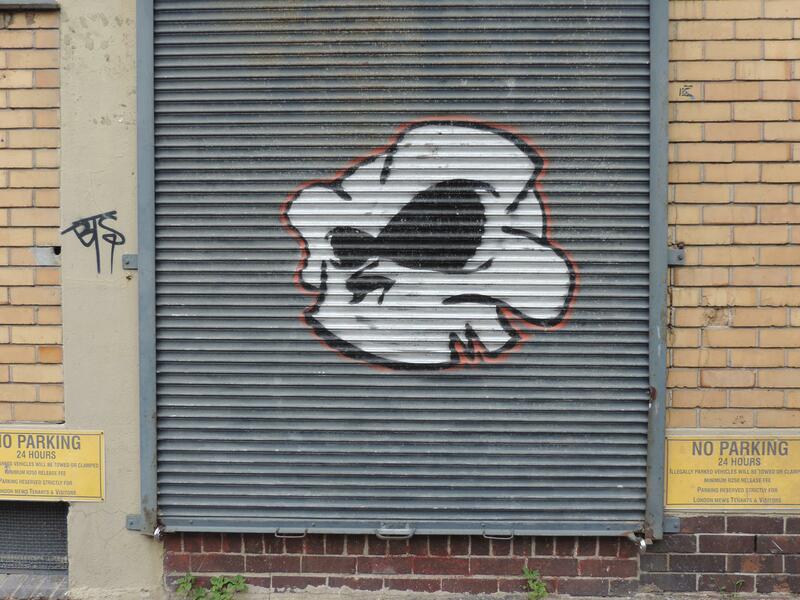 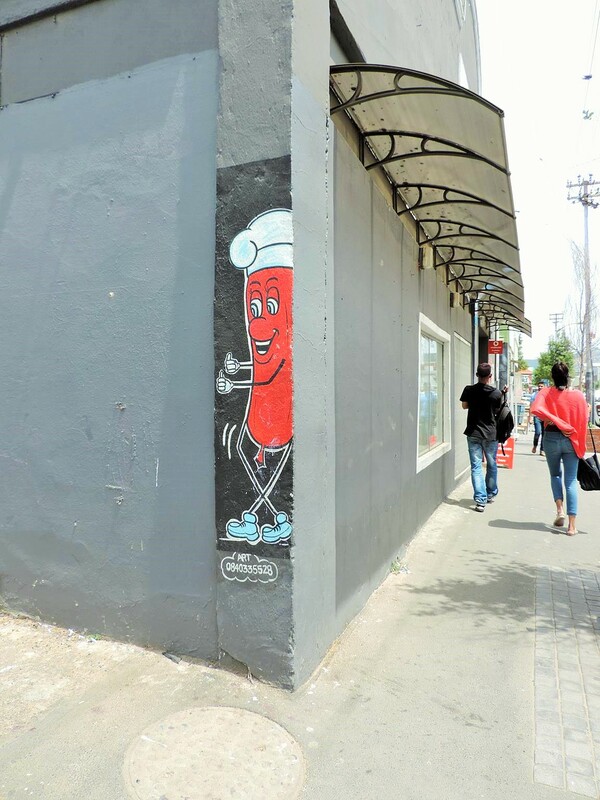 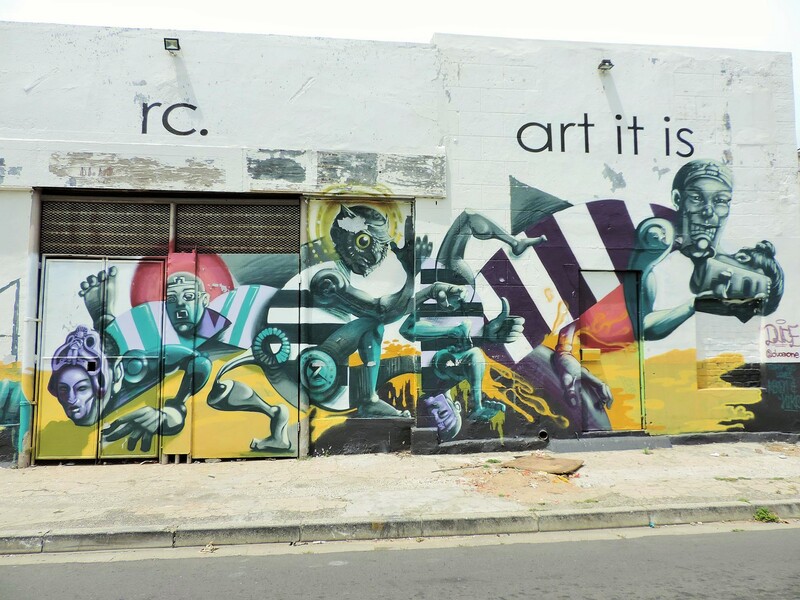 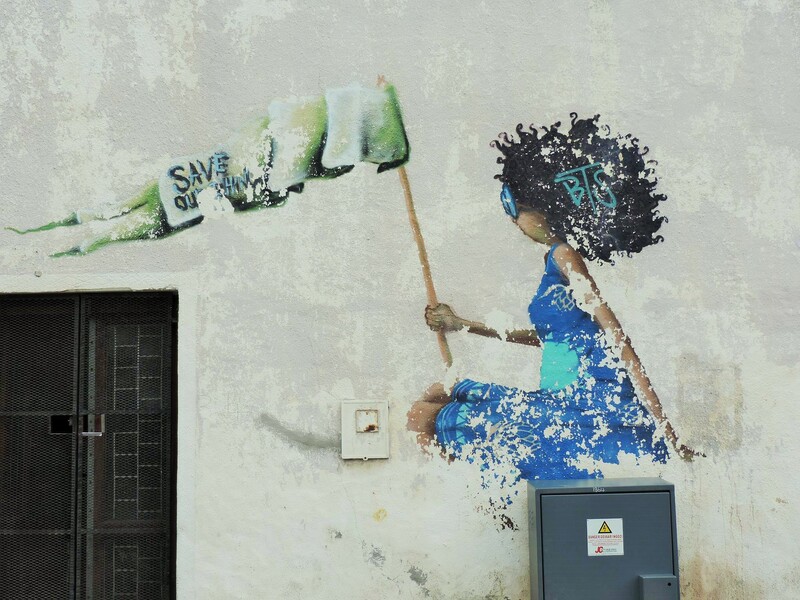 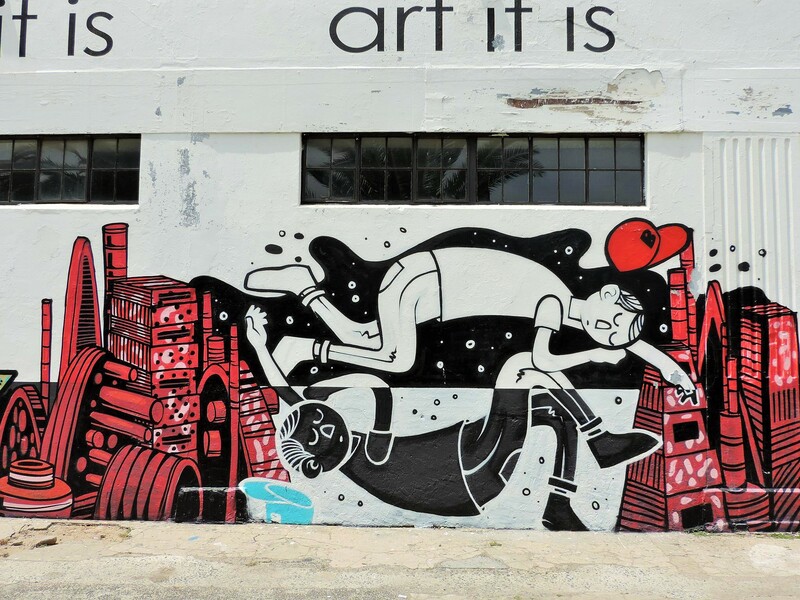 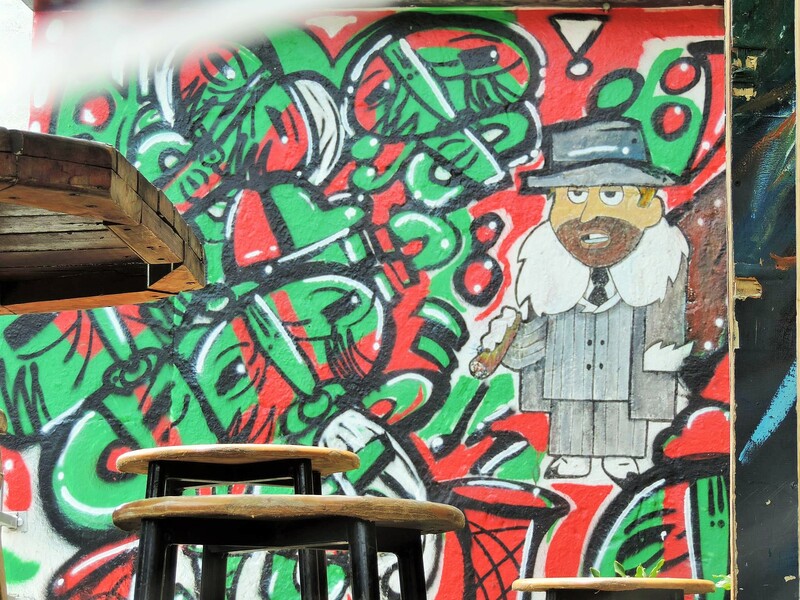 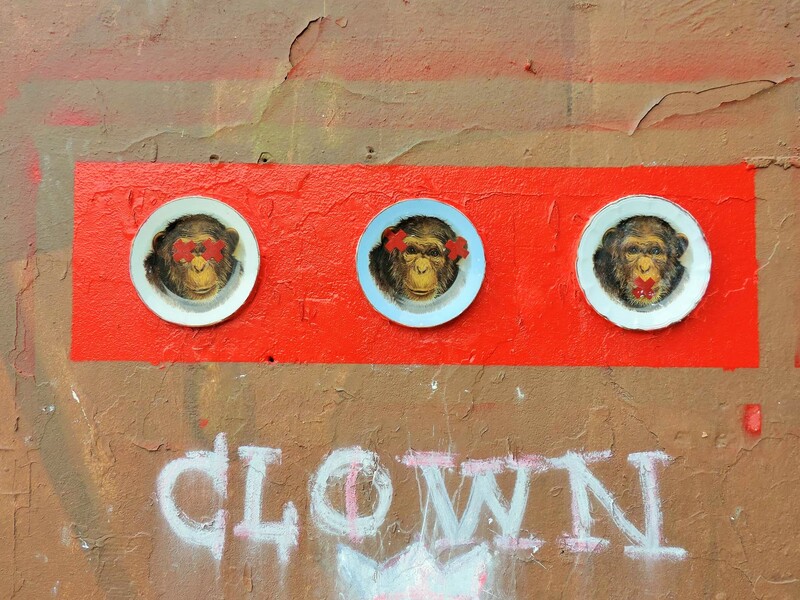 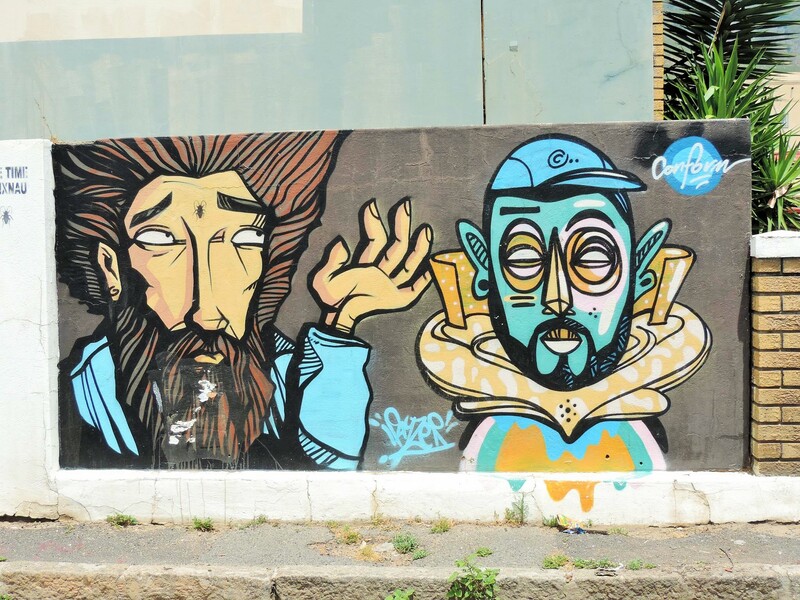 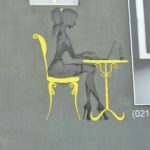 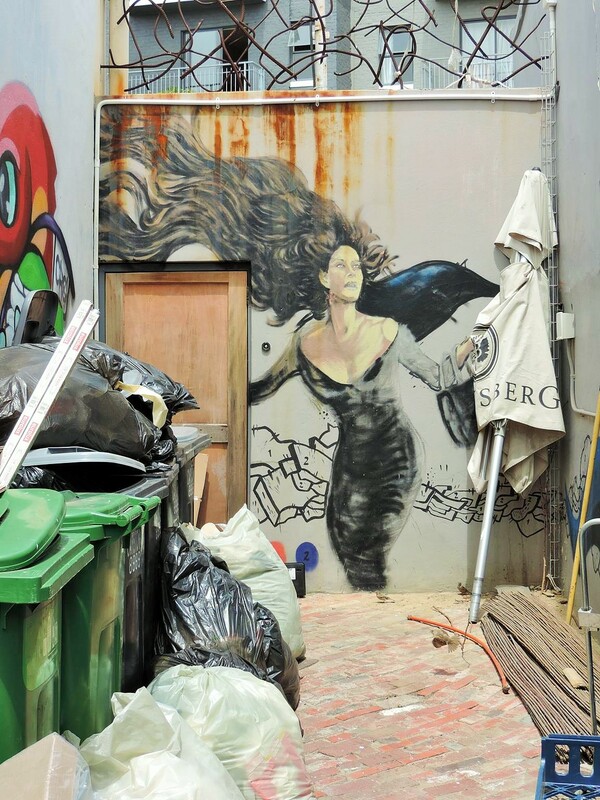 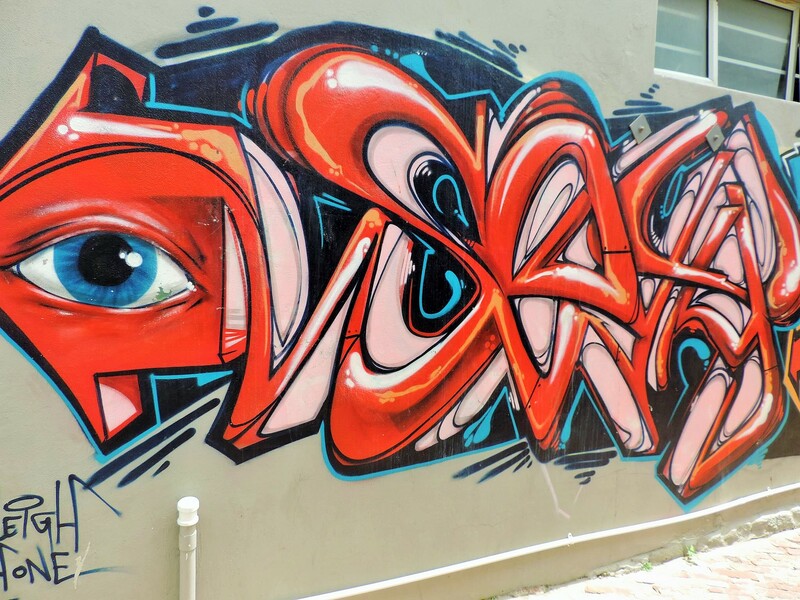 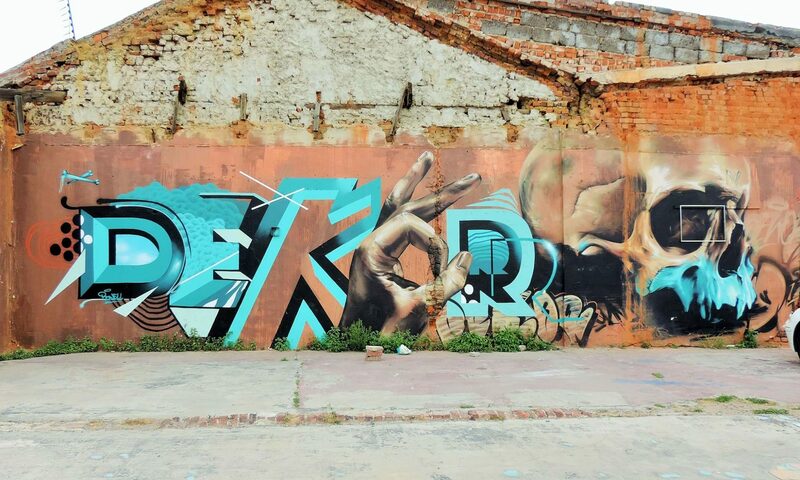 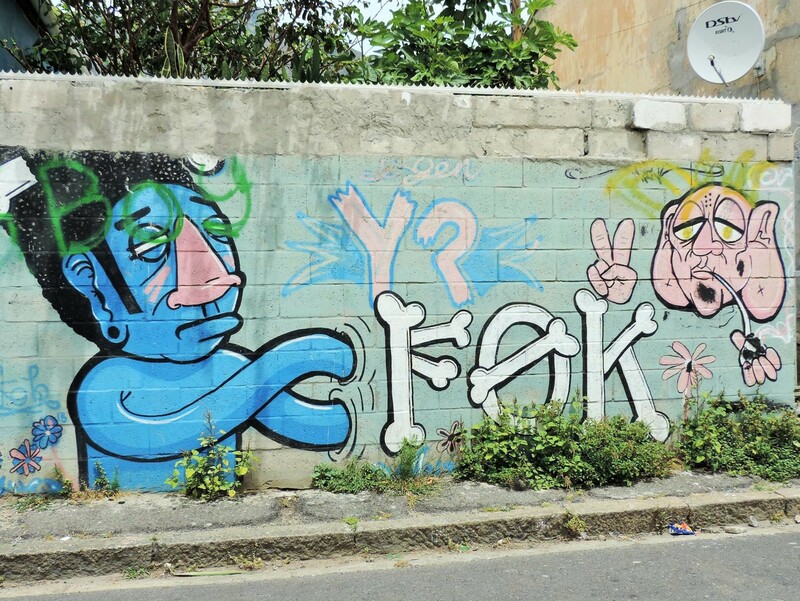 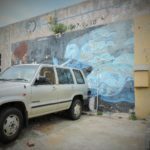 For our street art series, we have put together a collection of the most interesting artworks from the neighborhood. 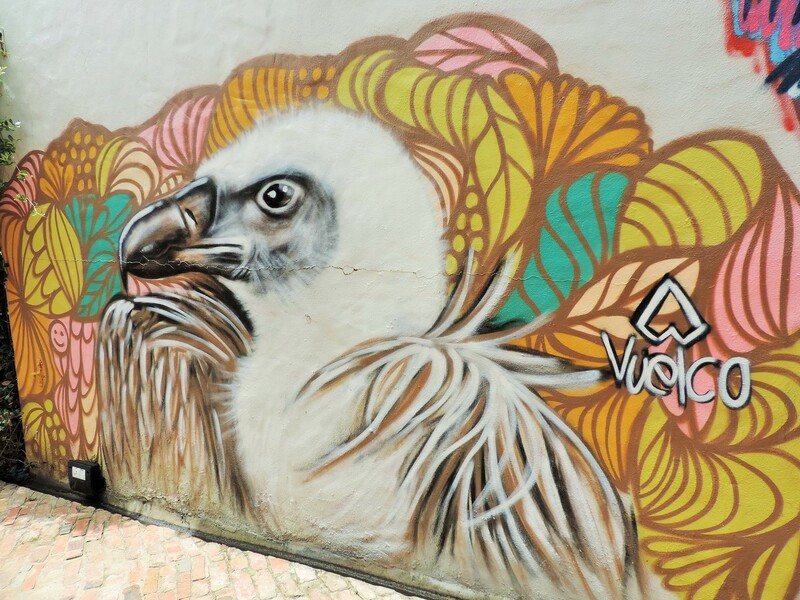 More articles about sights in Cape Town or climbing on Table Mountain, just about the super-delicious South African food and our safari tours with great wildlife photos follow here at Vagabundler in English and in German at the Feinripp Magazine. 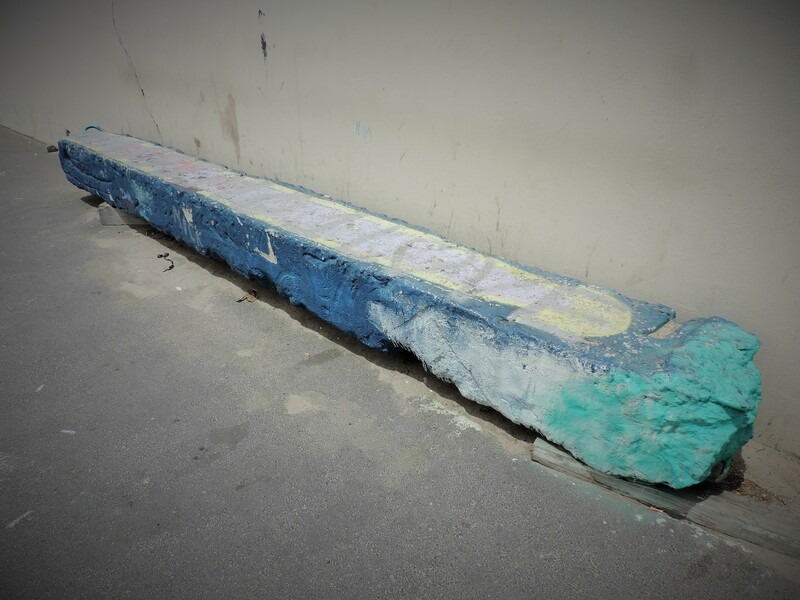 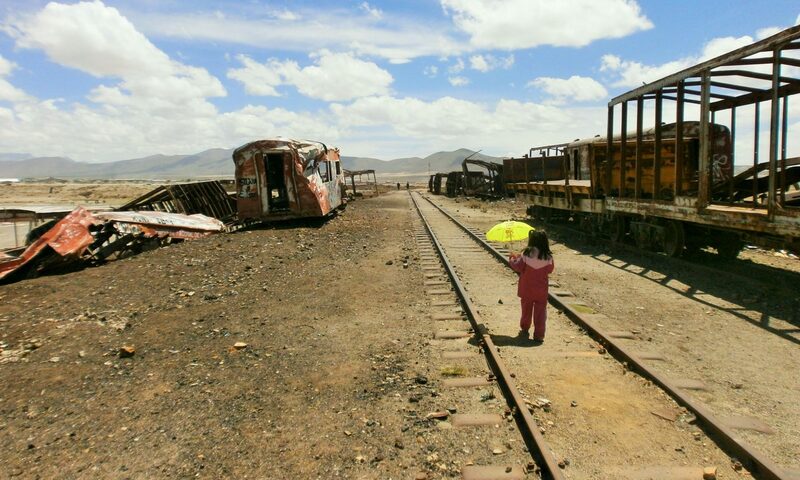 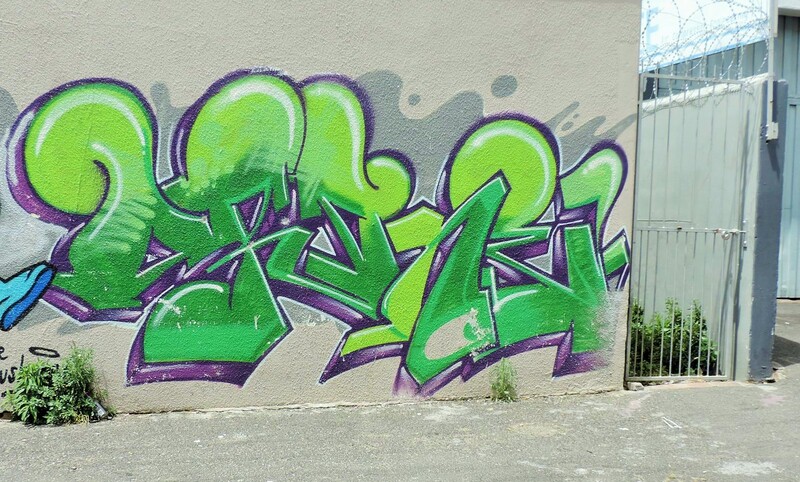 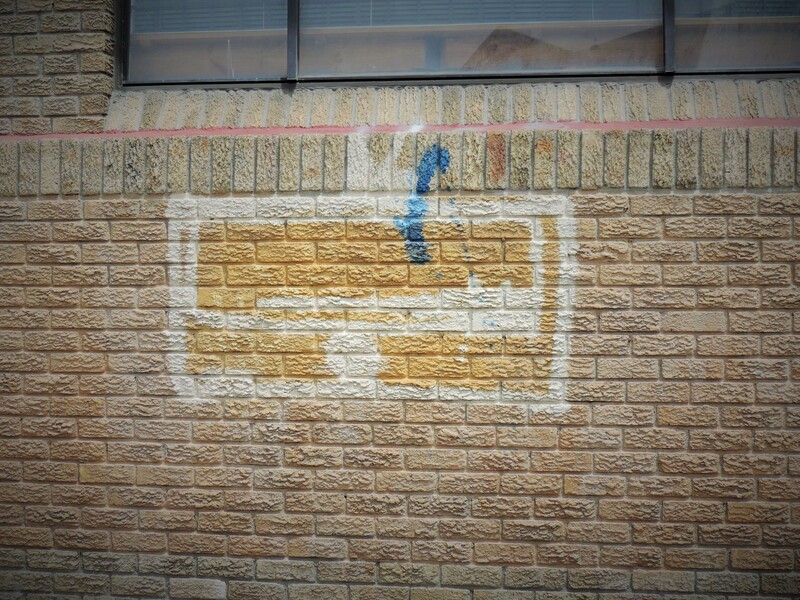 But first of all for one of our preferences, namely the color on the wall in the urban world. 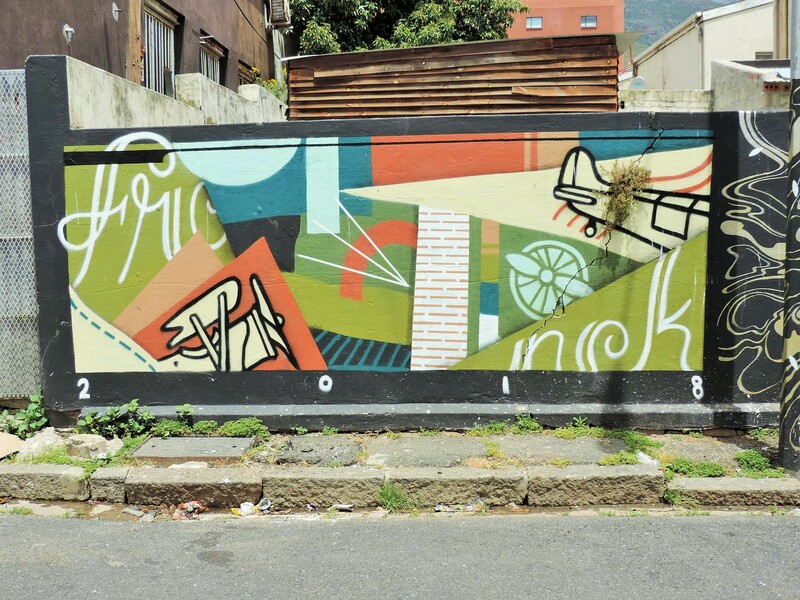 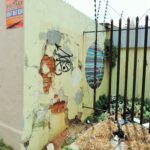 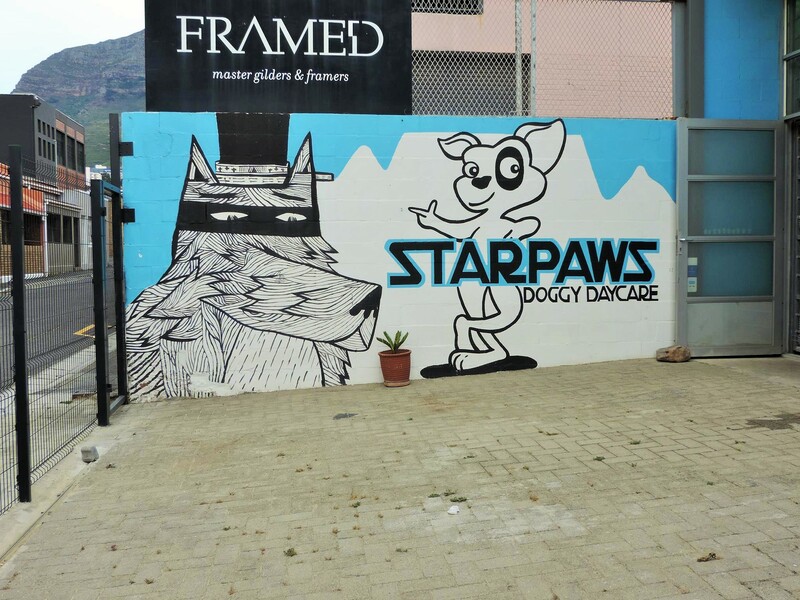 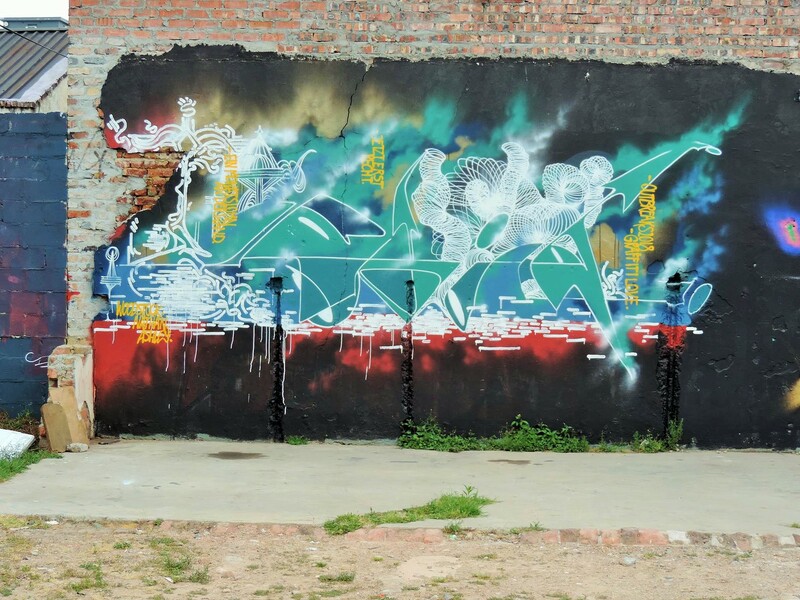 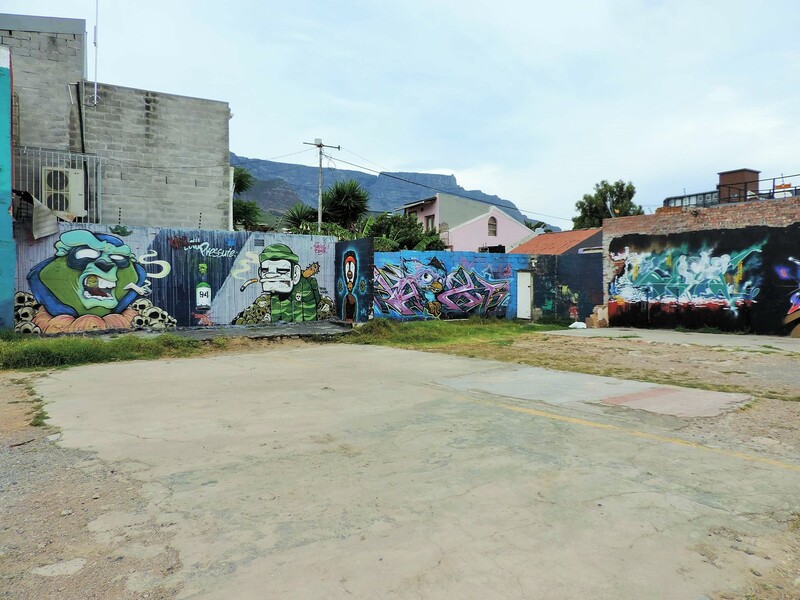 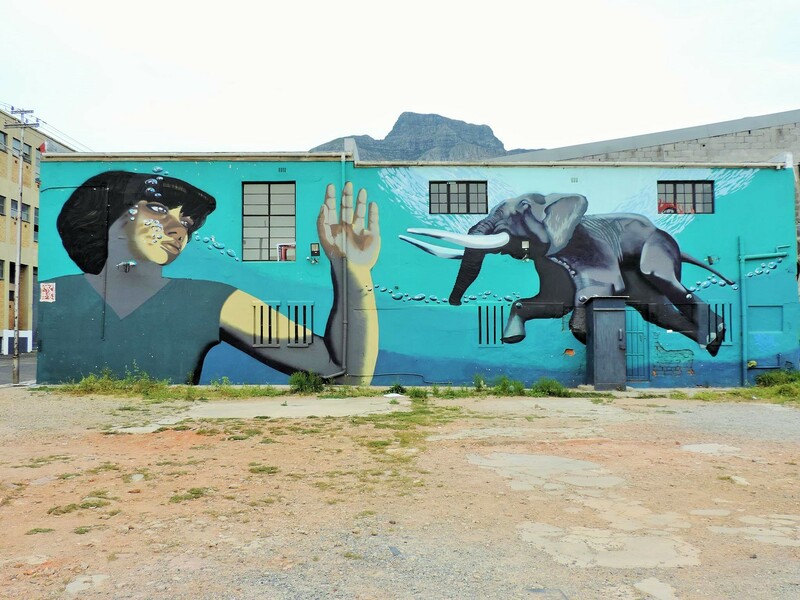 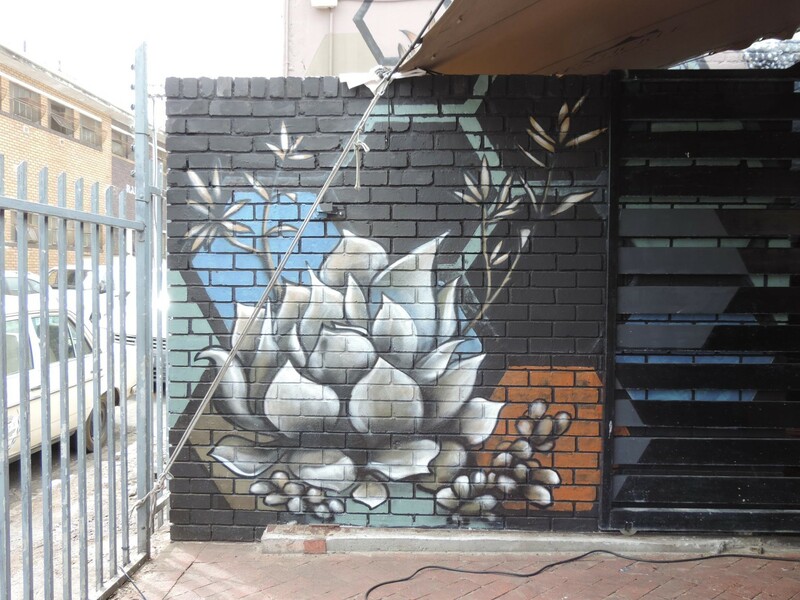 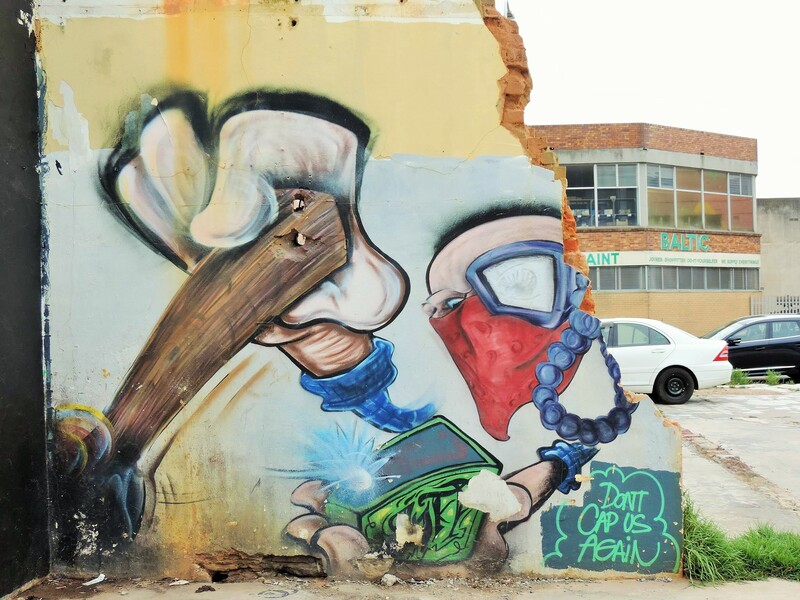 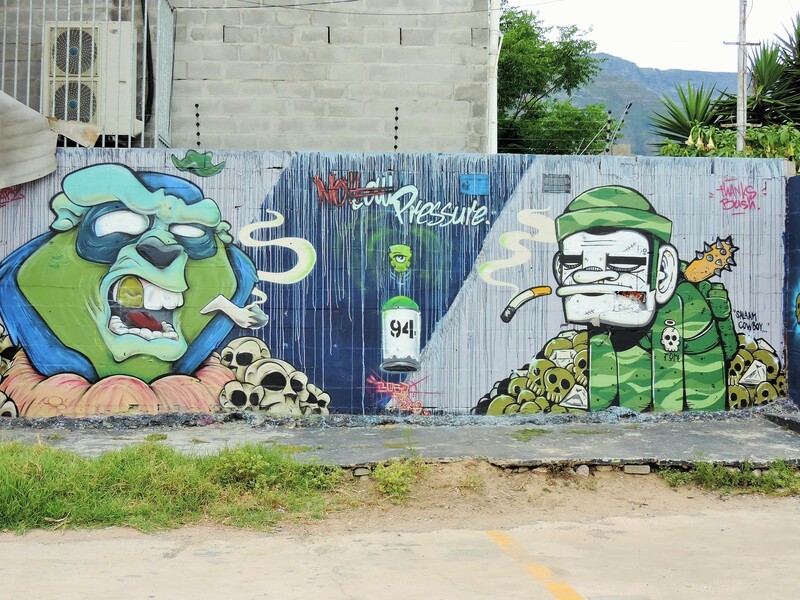 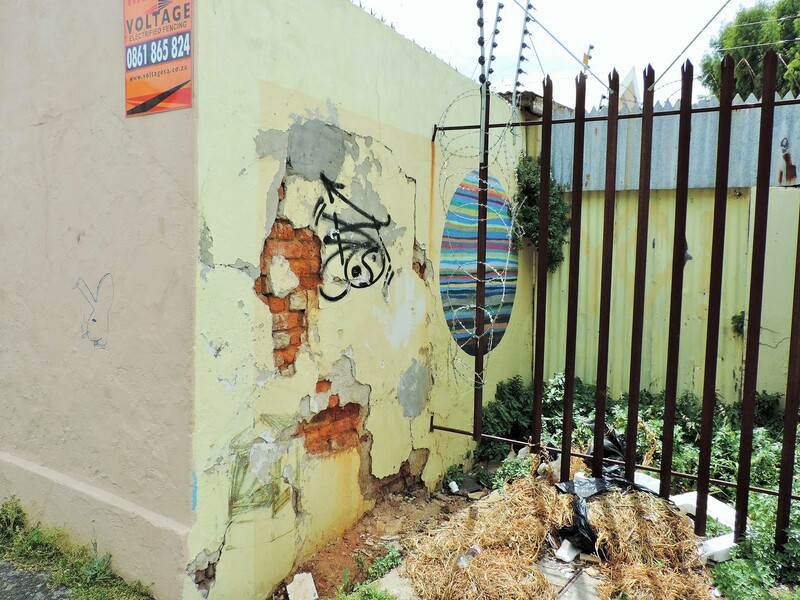 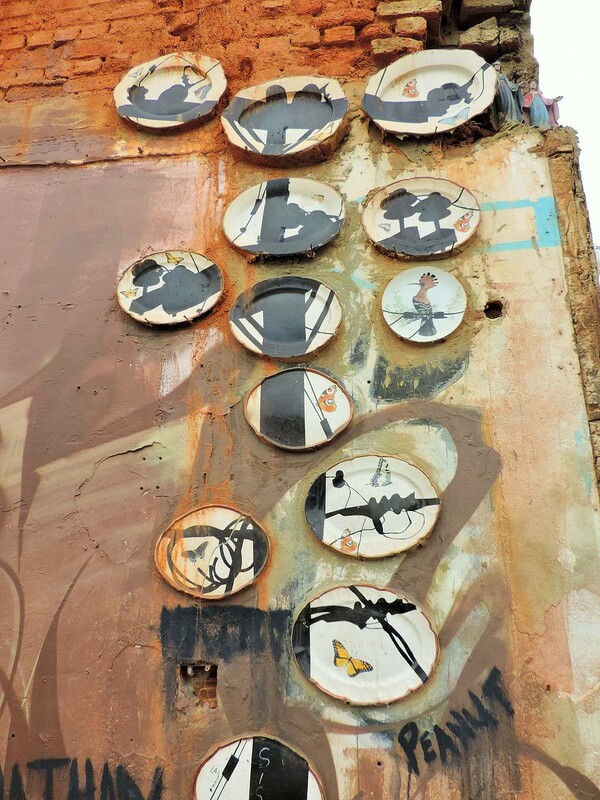 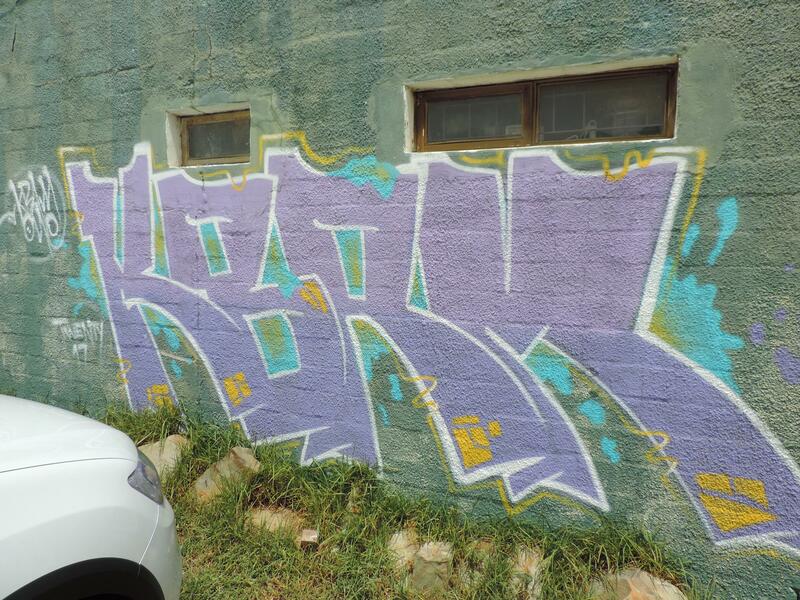 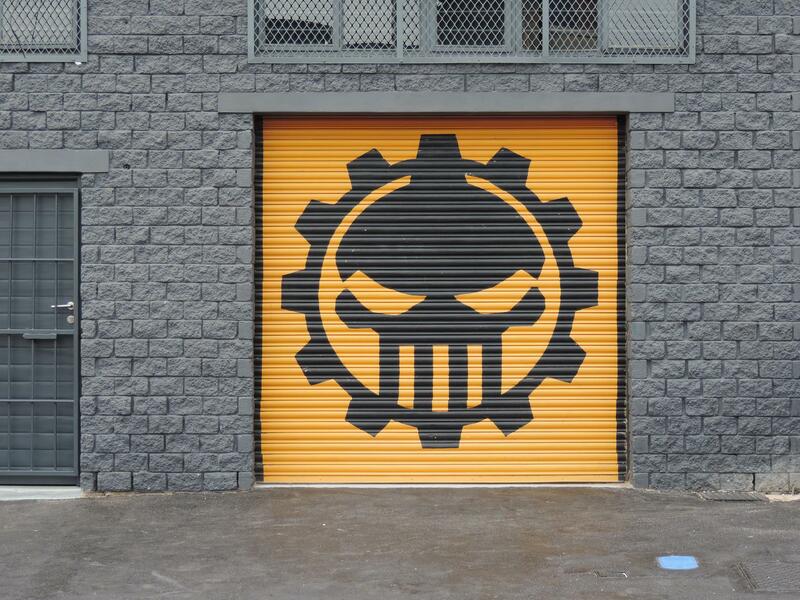 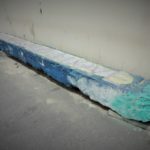 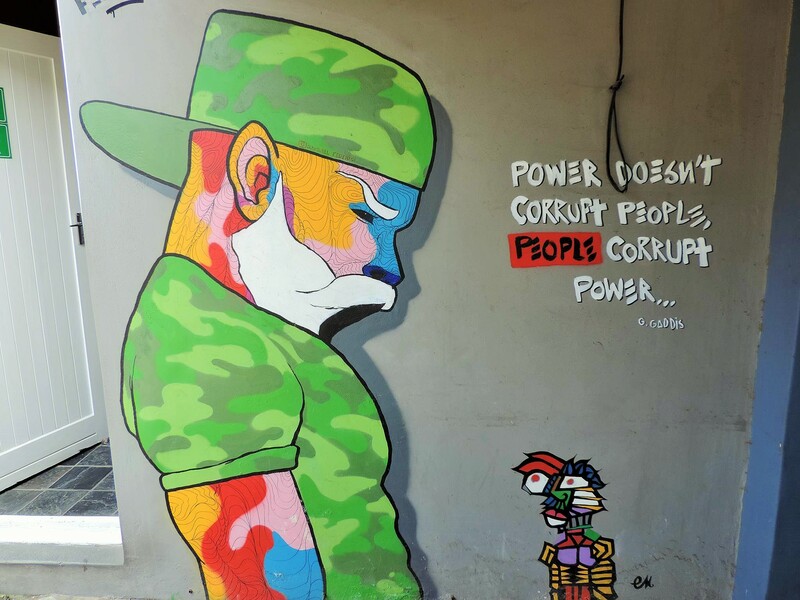 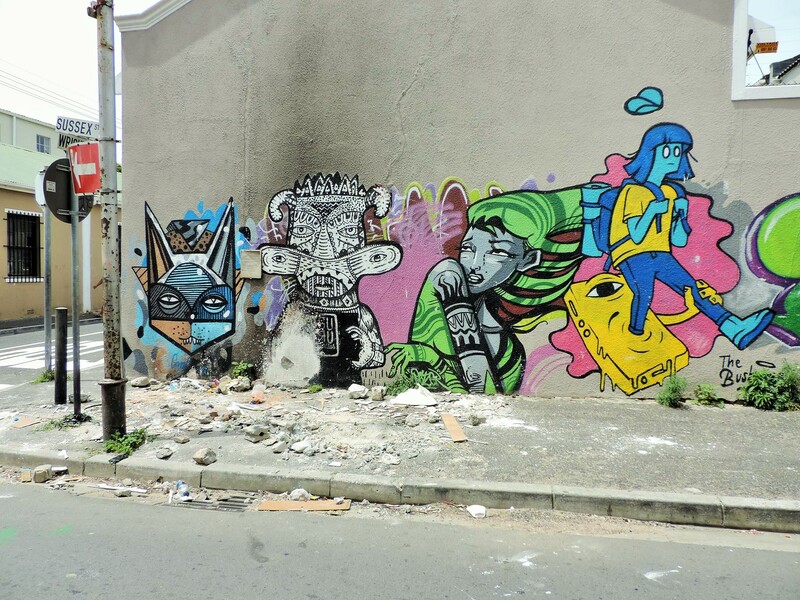 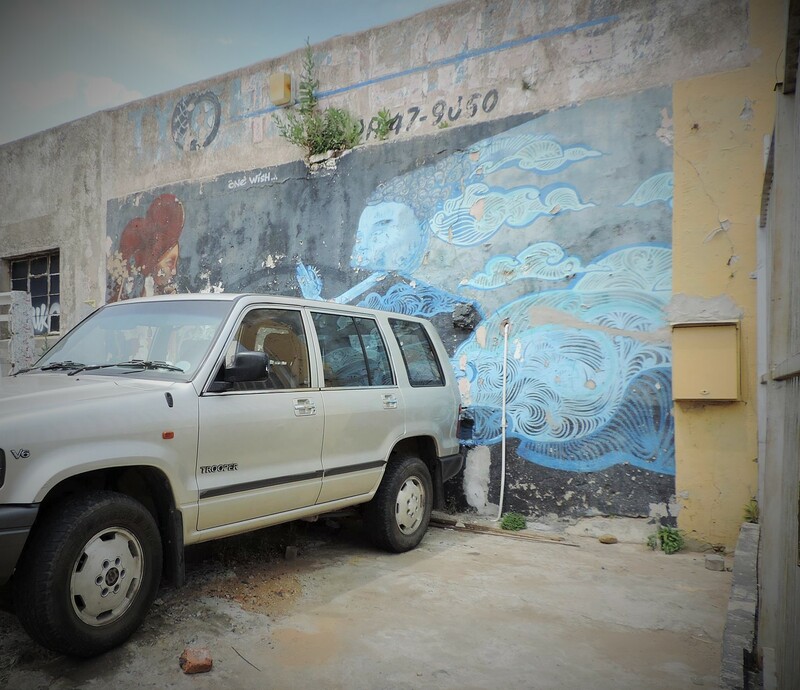 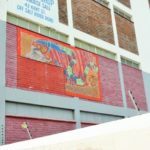 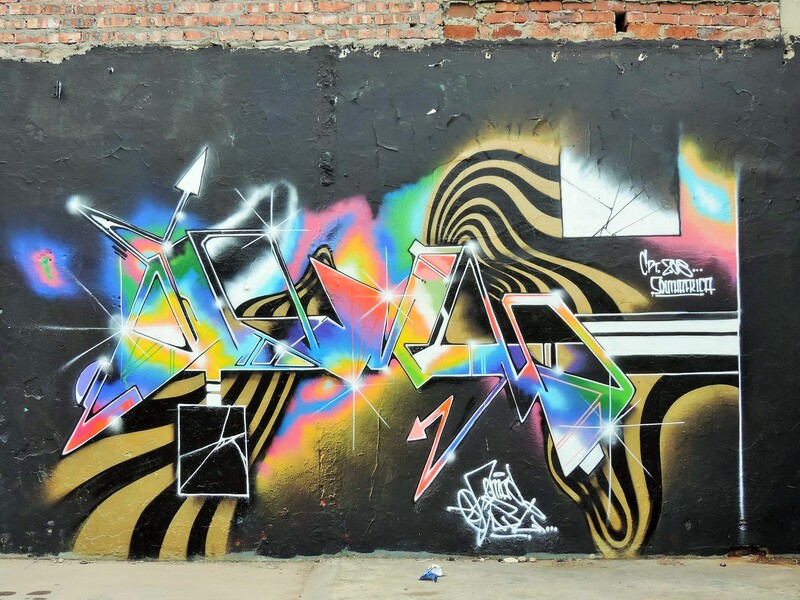 There are also some really well made, big and, unfortunately, more difficult to access murals and graffiti in and around the townships, the poor districts with high crime rates. 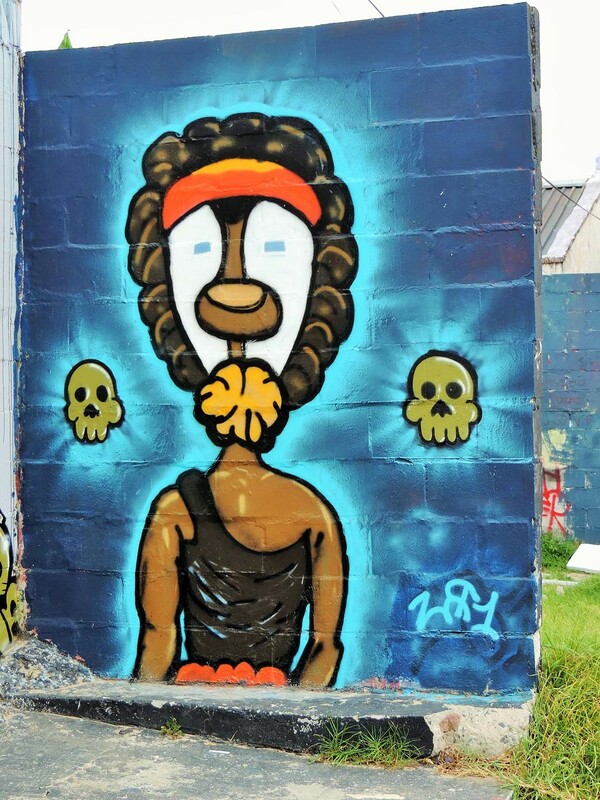 The collected material from further exploration will follow in a next post, but the Woodstock neighborhood holds more than enough for its own street art item. 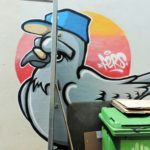 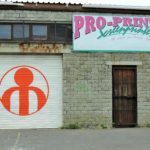 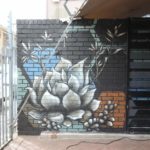 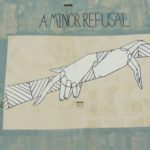 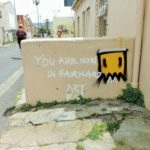 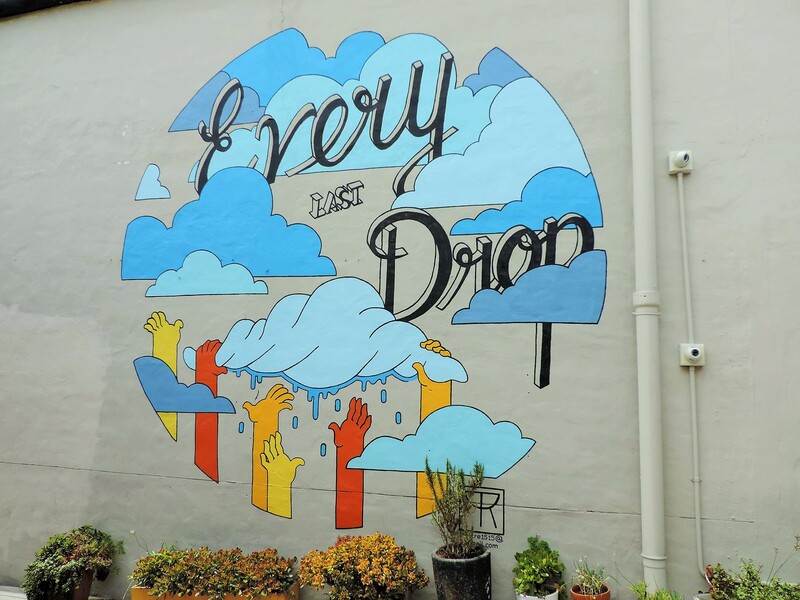 Here is a video from Traveler24 to Streetart in Woodstock with a small tour through the quarter. 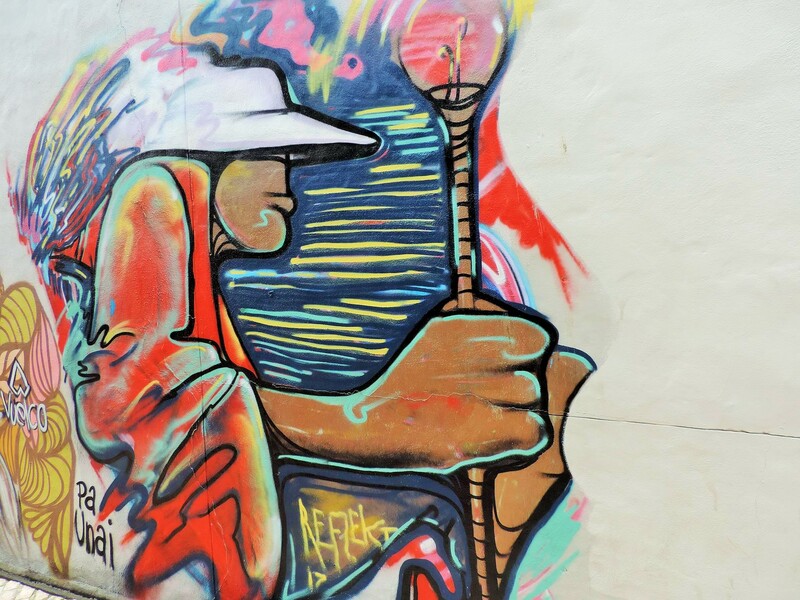 We have also met and talked to this “guide”, who presents the works of art in his district and provides background information. 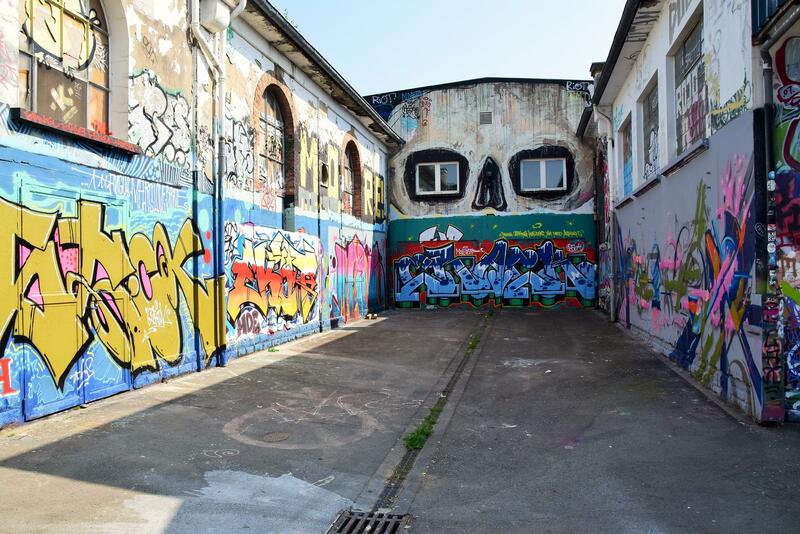 He and his colleagues stand there almost every day, waiting for tourists interested in graffiti to show them the artworks. 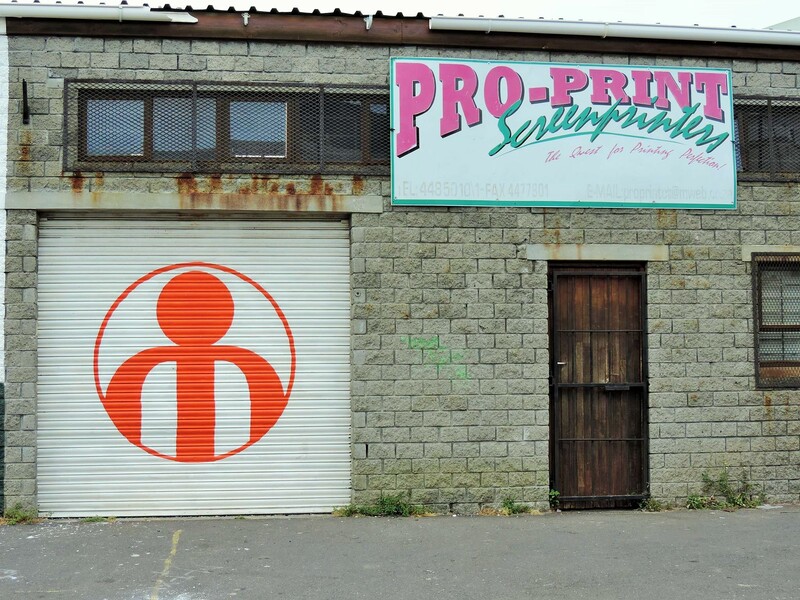 A tour for a little pay is recommended and supports the livelihood of these guys. 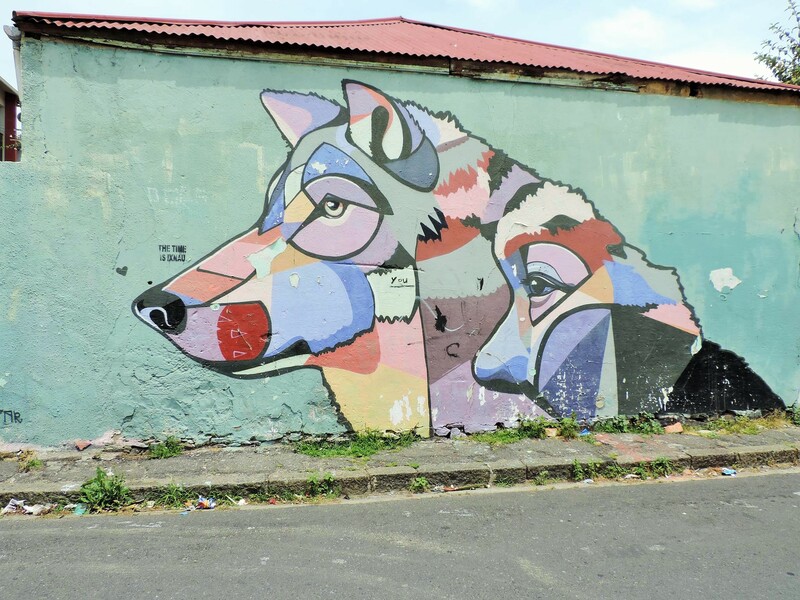 At the end of the article you can find information about websites and Facebook pages of some places of interest in Woodstock.